A fantastic balance of Details and smoothness. Pros - A balance hard to find, very good bass depth, not a single sharp note in the whole spectrum, as smooth as one can ask for without losing details, very good treble presentation. Fantastic stage depth. Fantastic Fit. Cons - Would have liked a bit more Bass body and a bit sharper notes. Stage can be more rounded. I don’t think the Custom Art Fibae 3 needs much of an introduction, still.. 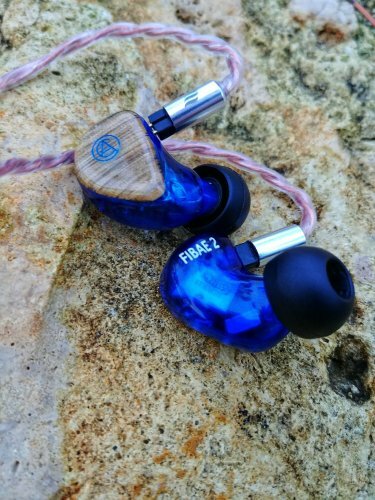 The FIBAE - "flat impedance balanced armature earphone" 3, housing 3 Balanced Armature drivers now leads the Fibae series with 1 and 2 under it. They also have the triple BA PRO 330 v2 and EI.3, and their Flagship Harmony 8.2. 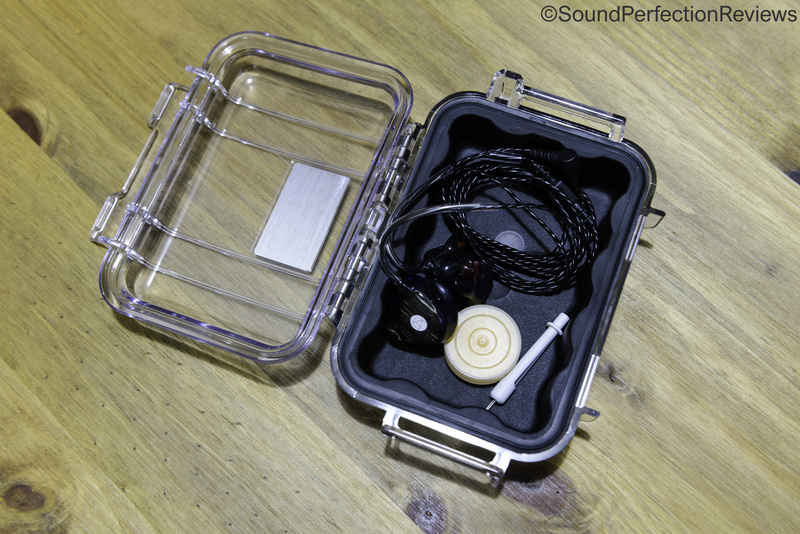 All of these earphones have received heaps of praise from both reviewers and customers. (They have launched a single BA earphone Fibae Black very recently). All of their earphones are Custom made and are available in both Custom fit and universal fit just like mine (universal fit upon request). You can pick Silicone and Acrylic shell with Custom fit. 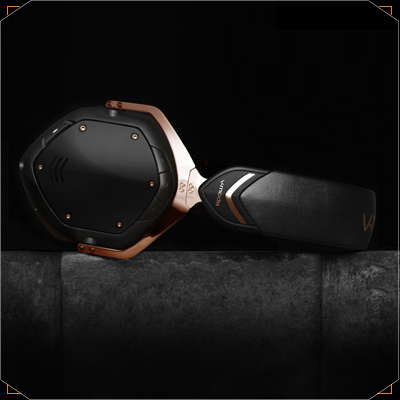 After the immense success of the Fibae 1 and 2, they introduced the Fibae 3 as their middle weight street fighter, with a price tag of 525 Euros, it takes on earphones like the EE Bravado, Campfire Jupiter, NCM NC5 v2, Shozy Pentacle and Eternal Melody EM-5H. 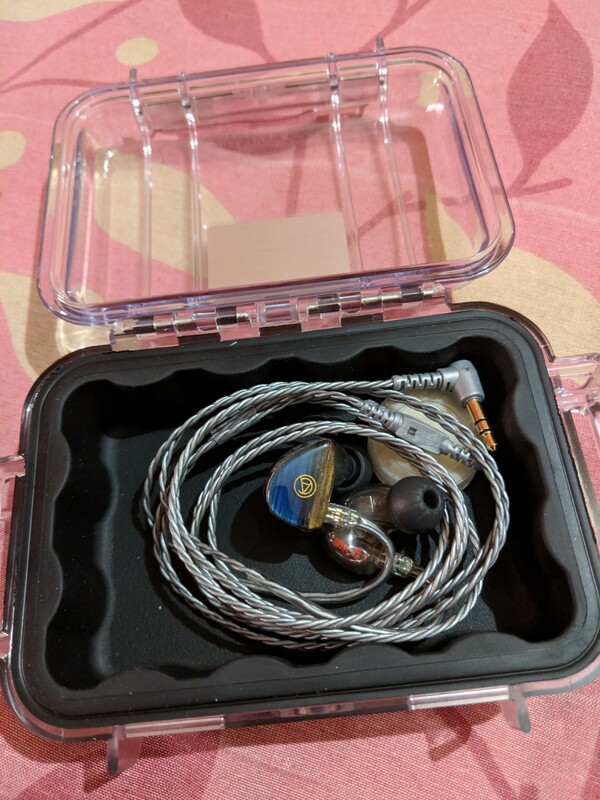 I will compare the Fibae 3 with a few other earphones, Shozy Pentacle, Shozy Neo BG 5, NCM NC5 v2 and EM-5H to name some. 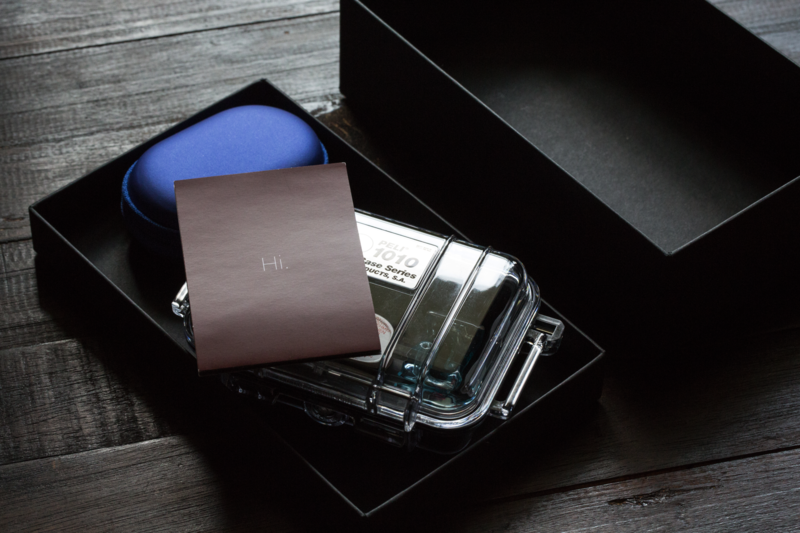 The Fibae 3 comes in a gift box style Box with two carry cases inside it. 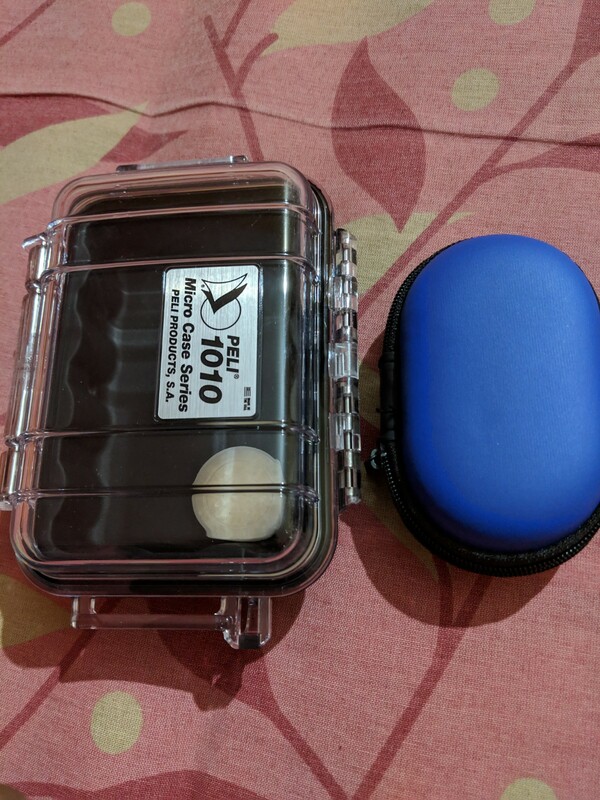 One is a hard sided zipper case to keep the earphone when not on the move, the other one, a Pelican 1010 case is meant for travel use which will keep the earphone safe under unfavorable circumstances. There are 3 pair of tips inside a small tips case in S/M/L sizes and a pair of double flange tip. Dehumidifier, wax pick tool and the welcome document sums up the list of things out of the box. Build quality is one of the biggest positive of the Fibae 3, which holds true for all the Custom Art earphones too. There are many customization options available, some are with extra cost, you can chose different cables and one with Mic too. 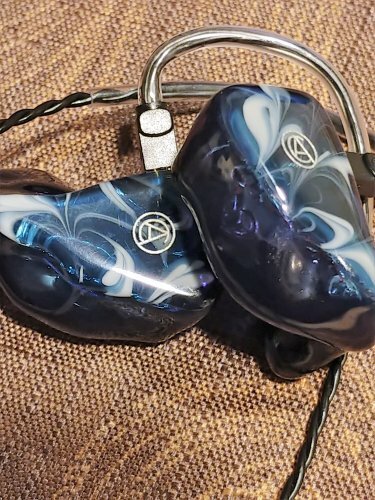 The Acrylic shell is very sturdy, the back plate fusion is flawless and unless you decide to drop the earpieces on solid floor (deliberately trying to break them). On the inside it implements a two bore design, one for Bass and mid and other for highs. There is no vent in the shell, a BA don’t need one at all. The nozzle has nice depth to it and its very easy to change tips. Custom art has a couple of cable color options. They have Black and grey color cables with both MMCX and 2pin socket. 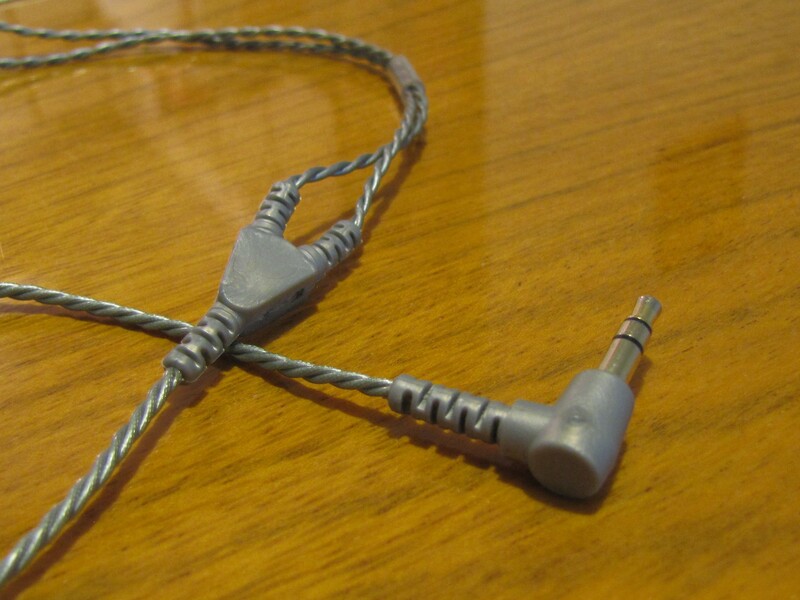 You can chose a mic cable too for extra money. Mine is the grey 2pin cable. The 3 core braided cable has nice feel to it, there are no unnecessary layers of rubber on it, hence it's not bouncy at all. It's very supple and doesn’t tangle easily either. There is no microphonics to worry about. The cable guide is metal inserted which keeps shape once shaped to ones comfort. All of their custom earphones have very good fitment with plenty of customization. Their universal earphones, like the one I am reviewing too have an comfortable feel to them. 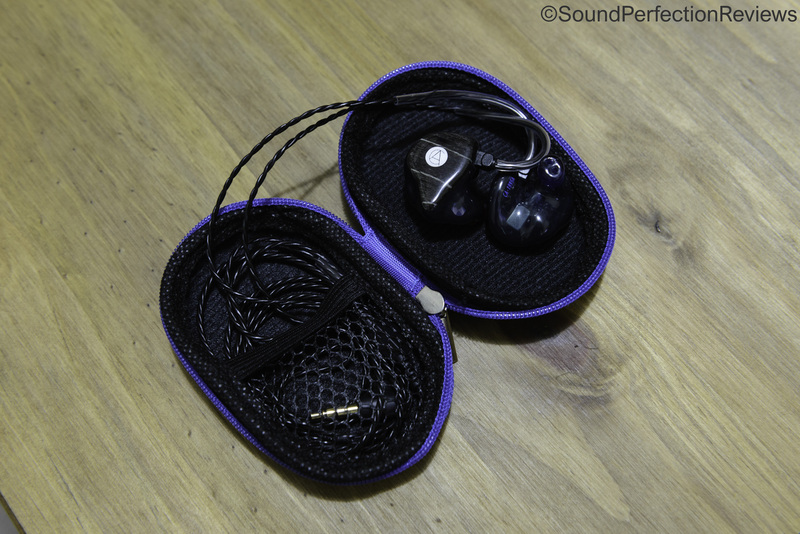 It is exceptionally comfortable for a 3ba earphone, Even some single BA earphones have bigger shell size. 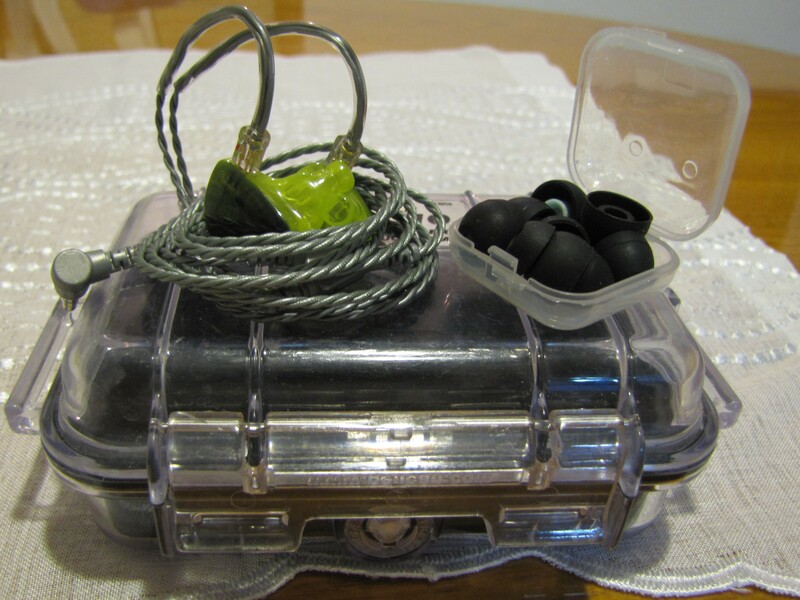 The smaller size and ergonomically design makes it a very comfortable earphone for everyone. Last time I reviewed the NCM NC5 v2 I complained about the Nozzle length, the Fibae 3 has an aptly deep nozzle making it more stable and secure. 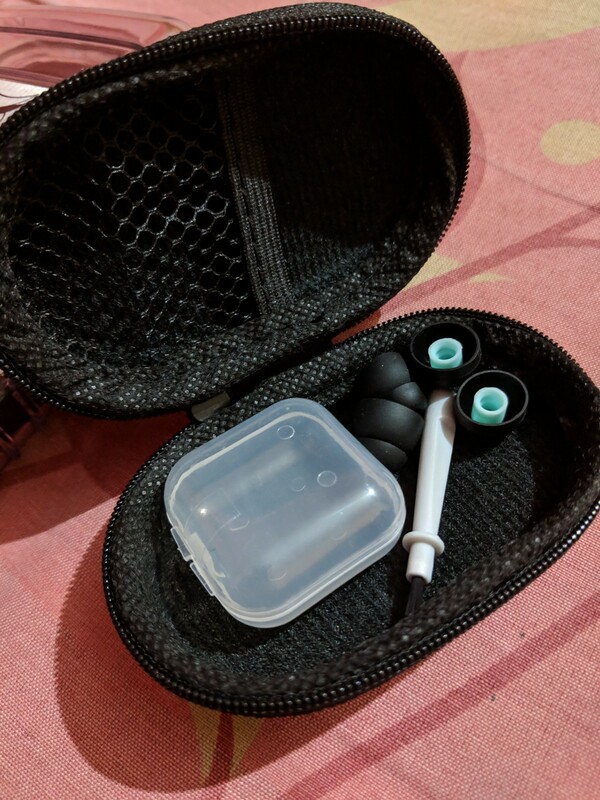 Fibae 3 fits like a glove to my ear without any discomfort even after hours of usage. The Fibae 3 is tuned more for the consumers than for mastering use. It is meant to enjoy the delicacies of music without going too hard at them, without peaks or sibilance of any type, with a soothing approach delivering a very inoffensive sound signature. "FIBAE 3’s tuning is a result of a carte blanche approach. Researched and newly developed drivers deliver reference sound without sacrificing punchy lows as well as improved presence of highest frequencies without adding harshness or sibilance. FIBAE 3 shares highly musical and engaging character of its bigger brother – Harmony 8.2. 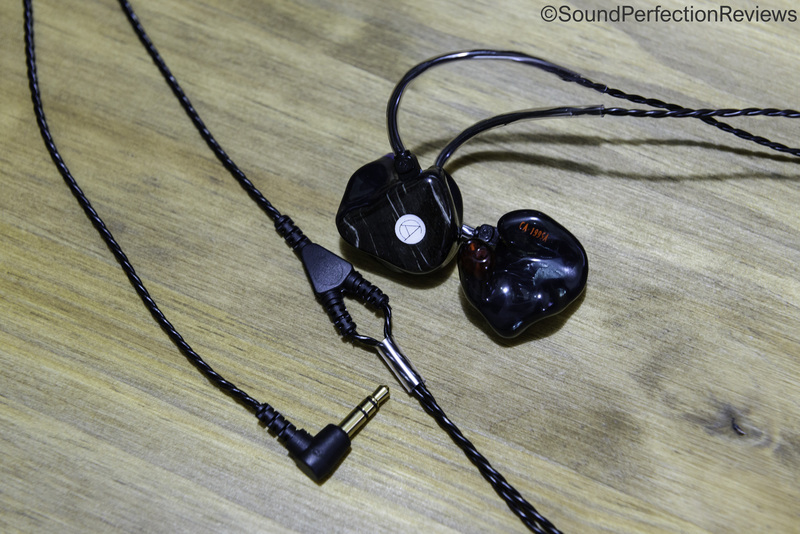 Consequently, this triple-driver IEM offers smooth, balanced midrange and high coherency that Custom Art is known for. FIBAE 3 emerges as a new paradigm with only three Balanced Armature drivers that provide class-leading extension across the frequency range." There is little to no coloration and the signature is very neutral, let put it like, its 95% like the ER-4P, but the notes have better weight to them making it more juicy. It has a nearly flat sound signature with a mild W shape to it. Properly burned for 120hrs I am using stock tips and Plenue R and Plenue D for this review. The Fibae 3 is very easy to drive out of any portable device without much problem, even when using some capable mobile phones, you will still be able to get most out of it, but a dedicated dap will always bring out the best of it. 110db sensitivity means it can get very loud too. Amping is not necessary but if you have one, you can use one and you will find a bit more energy up top. Given that the 7.3-8.2ohm impedance value, its prescribed to use a low output impedance source. The lower end of the Fibae 3 is handled by one dedicated driver which is aided by a full range driver, yes the full range driver might be a mid range driver while contributing something to other two drivers, but we can't say that for sure. The Bass region is not only very well defined and paced with plenty of precision but also has the poise of a matured tuning of the driver. When compared to earphones like the NCM nc5 v2 and Empire Ears Bravado the Fibae 3 can be considered flat. But in front of the real flat folks like the ER-4P and q-jays the 3 is very potent. From a neutral point of view, It doesn’t lay flat on its back when a bass note arrives, it moves good amount of air with a sizeable slam. The body is not huge but is nicely rounded and meaty enough to keep me seated. The biggest plus over the flatter ones is the sub-bass rumble, it has the most amount of energy and forwardness in the lower region. The Fibae 3 has very good extension and sub-bass presence, going as deep as 20hz, it delivers better sub-bass compared to the nocturnal Avalon. The Decay is very fast, marginally slower than the ER-4P or the q-jays, slightly slower decay gives notes a bit more weight and authority as they make their presence felt without vanish into thin air. Mid bass is where things get as snappy as the ER-4P, its very fast as the notes size is smaller compared to the sub-bass notes, it is still present and moves a bit of air, thankfully it is not as dry as the 4P. Things get flatter even as things move to upper bass. There is little to no sacrifices made when it comes to the balance between presence of bass and the level of details it delivers. The level of accuracy, resolution and amount of resolving details is up to competition. The amount of control exhibited by the Fibae 3 over the mid-bass and upper bass is rarely seen in this price bracket. Even though the Fibae 3 is a bit sub-bass minded, it delivers a very detailed and textured presentation with equally better transparency. What impresses me the most is the effortlessness, it doesn’t feel like being held back. Yes the bass is not huge by any means, but if you came for that.. the Fibae 3 will not leave you looking for it, just done expect much rumble. The first thing to notice with the mid range is the amount of maturity it shows with notes, its exceptionally paced with plenty of maturity with a nicely polished feel to them. The mid range sounds very lush and delivers one of the cleanest and smoothest notes with very good instrument distribution and density, sibilance and aggressive notes are nowhere to be seen. If you look into specs, the full range driver does all of the hard work here and it delivers like a champ. Coming out of the same full range driver it delivers one of the most flawless transaction from upper bass to lower mid range. The mid range is slightly more forward that the bass region, giving it a more fuller and full bodied presentation and W shaped sound signature. Notes have a more natural tonality thanks to accurate notes width, sharpness and decay, notes don’t hound, it doesn’t bite, it just wants to cuddle. Vocals are comparatively smoother with good enough texture to them, there is plenty of details from the word go. Male vocals sound accurate and soothing with a nice throaty feel to them, female vocals too have equally good tonality, sharpness, accuracy and smoothness to them. Both male and female vocals sound equally composed, there is no extra energy to make things uncomfortable unlike the Avalon, which can push some more spikes into the mix. Instruments too have very good amount of details and transparency to them, picking up micro details is not a problem at all, but instruments do lack the pop thanks to the smoother presentation. Yes it doesn’t have the sharpness of the Nocturnal Avalon, which sounds slightly more transparent and cleaner. Upper mids are exceptionally balanced with the vocals and rest of the mid range with very good weight to notes. There is no sibilance at all. The level of layering, instrument accuracy and separation is up to the class and easily beats the 64audio U3 and Earsonics ES3 with its more vivid and clearer presentation. The stage size has a cylindrical feel to it, it has exceptional depth with average height and width, aided by sonicality, the Fibae 3 can throw cues farther than most of the earphones mentioned. The Fibae 3 delivers one of the most inoffensive treble notes. The is very good amount of energy and extension to them, but any type of spikes are kept out of the equation. The lower treble is nicely under control, but the energy increases as it goes deeper into the spectrum. The smoother notes presentation has not left the scene. Level of detail is very good. Transition from upper mid range to the lower treble is exceptional here too with exactly same amount of energy to them, lower treble delivers very good clarity, resolution and details. Let it be pianos, trumpets or cymbals, they have the required amount of sharpness and the finishing of the note along with the presentation, which is very good. Let it be the resolution or imaging, the Fibae 3 delivers. Needless to say that separation and layering is up to the mark with plenty of air and space between instruments, with the bigger than average stage size, the presentation is delightful and fatigue free. Slightly thicker and rounded notes do make the Fibae 3 sound a bit less cleaner and transparent. With a smoother and near natural approach to the notes, the Fibae 3 delivers a effortless sublime experience. It has plenty of maturity to the notes, there is not a single spike in the whole spectrum. Not a single thing feels out of place with a beautiful imaging. Let it be, tonality, timber, weight of notes, presentation, balance, sonicality, or imaging, it excels at many things. There is clumsy feel to it at all. It slightly lacks with details and sharpness. Yes, it cannot compete with detail hogs, The Fibae 3 sounds Veiled compared the the EM-5H, Nocturnal Avalon and Shozy Pentacle. And that how the Fibae 3 is tuned. It's not for monitoring use but for enjoying the music with very good amount of details and smoothness. If you and to enjoy your music with exceptionally accurate tonality and timber without a single spike in the spectrum coming your way, if you just want to sit back and enjoy the music, there is nothing that beats the Fibae 3. I hope you guys had a nice time reading the Review. Cheers, have fun, happy Christmas, enjoy. 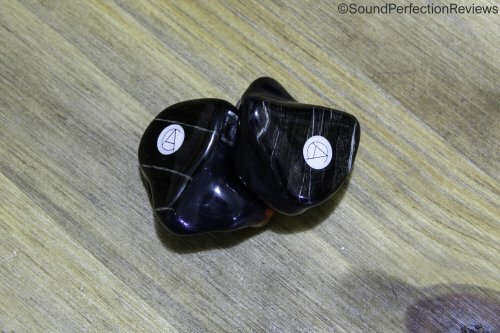 It may not be mentioned on the CustomArt website yet, but their in-ear models are available in both universal and custom options. From this universal version, the build quality and finish is already really good. 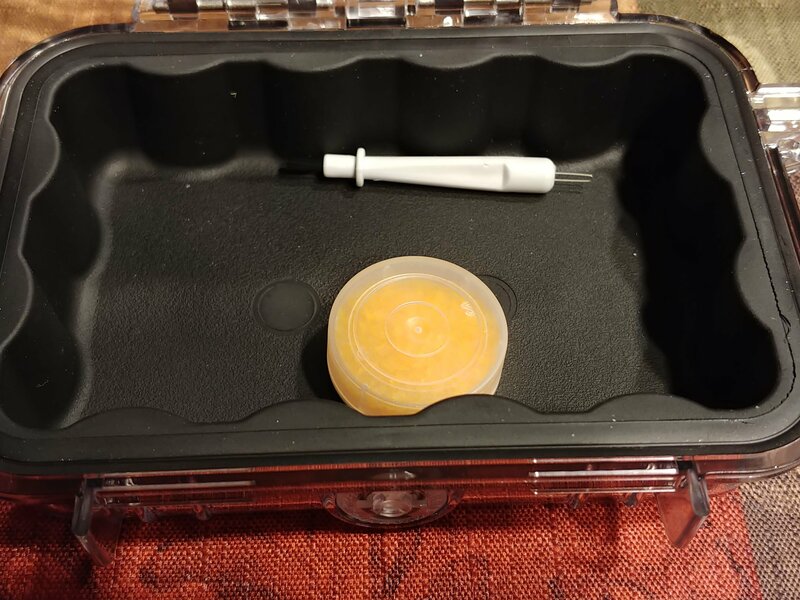 The shells are made of good quality acrylic, with a fine finish with no bubbles inside and smooth on the outer part. 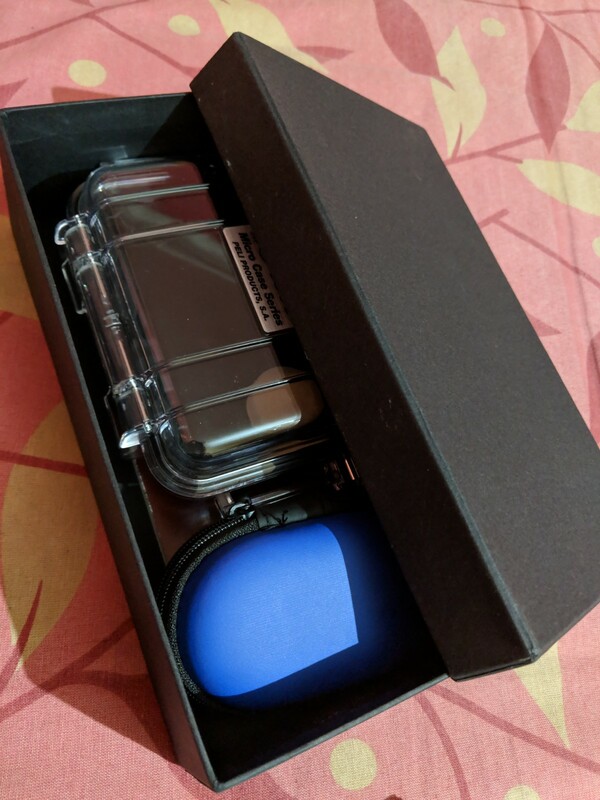 Of course, the color option is available for the universal fit as well, and on the design here it’s possible to see the inner setup through the translucent material. The Fibae 3 consists of a separate single Balanced Armature driver for the low frequencies, single BA driver for mids and single BA for highs, and the nozzle is divided in 2 bores. The ergonomics and fit of the universal Fibae are perfect. The shape is very close to a custom fit IEM filling most of the outer ear. 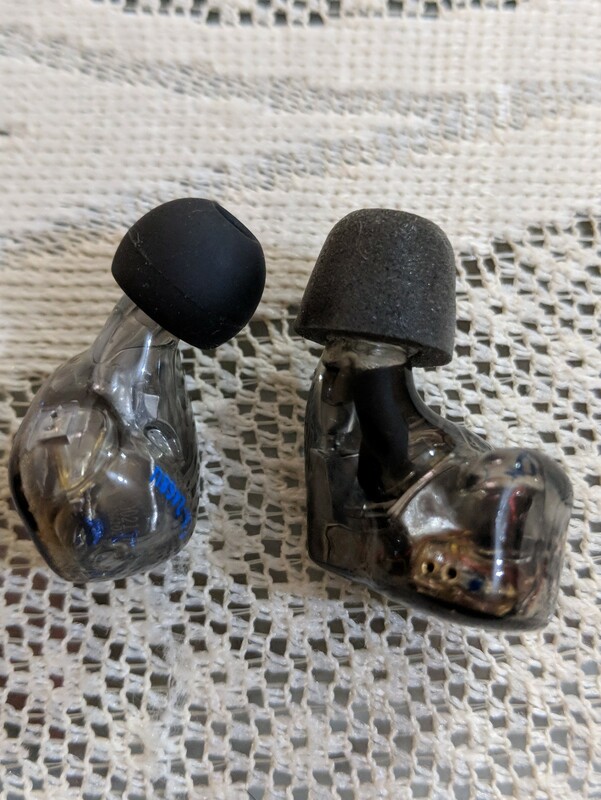 Unlike many of the universal custom-like shaped in-ear models, which are usually a hit or miss for many people, the Fibae is much better shaped and slightly more compact with a lower profile fit; a bit tight like Custom made IEMs but still really comfortable. Obviously, the eartips selection plays an important role; the included eartips didn’t give a decent fit and seal, so I opted for the SpinFit C800 and new CP145, and wider dual-flange tips. 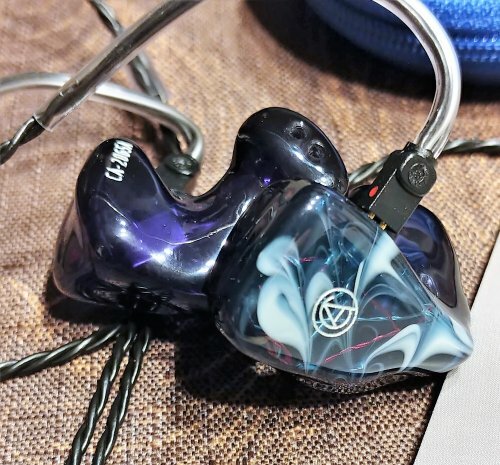 The isolation is very high with either of them (if a bit higher with the SpinFit), lowering the outside on noisy crowded areas to minimal, and probably of the highest isolation level among universal IEMs before going to Custom made options. 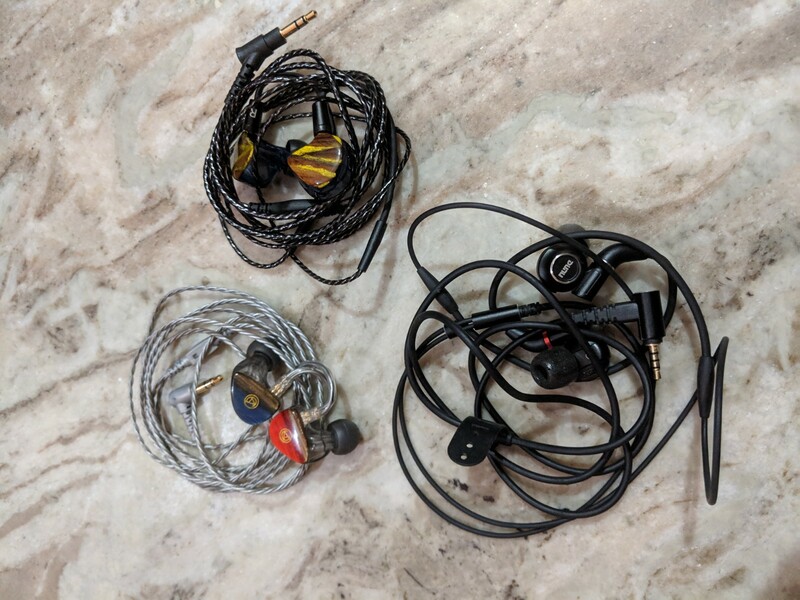 As for the cable, it is quite the standard one you would get from most Custom in-ear manufacturers, three twisted strands on the lower half and two on the upper part for each side, comfortable and low in noise. The 2-pin sockets are flushed, though the connection is very tough. There’s the usual memory wire and simple plastic tube that acts as cable slider. Gears used: PAW Pico, Hidizs AP200, Aune M1s, xDuoo X10, Headamp Pico Slim. Music files mostly in FLAC and WAVe formats. With a ‘Reference’ tuning in mind, right from the start the Fibae 3 strikes with impressive transparency and very high level of detail. The overall tonality leads towards the bright signature with a strong lift on the very upper midrange and whole treble frequencies, yet very controlled as an IEM at this price range should perform. 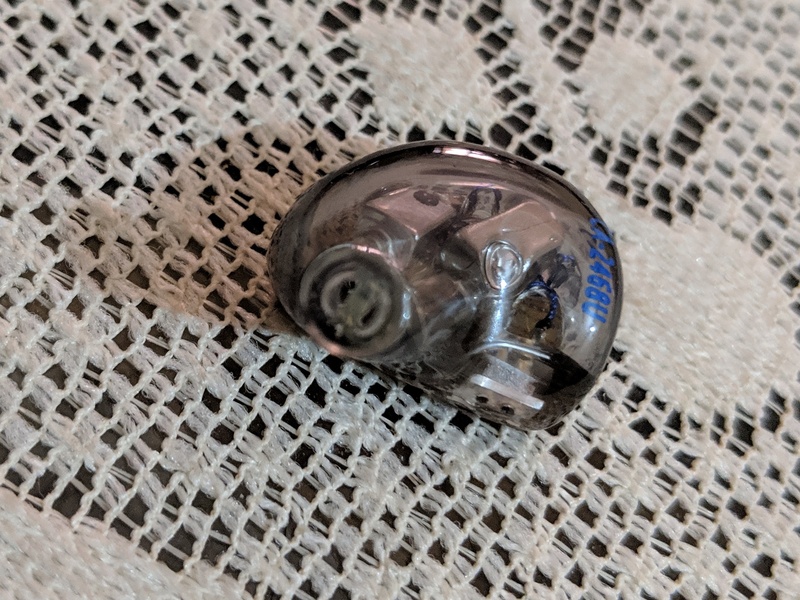 The presentation is too effortless, airy, and rather neutral and despite the upper tilt, the Fibae 3 remains relatively smooth (no peaks) and well weighted for a detail oriented IEM. 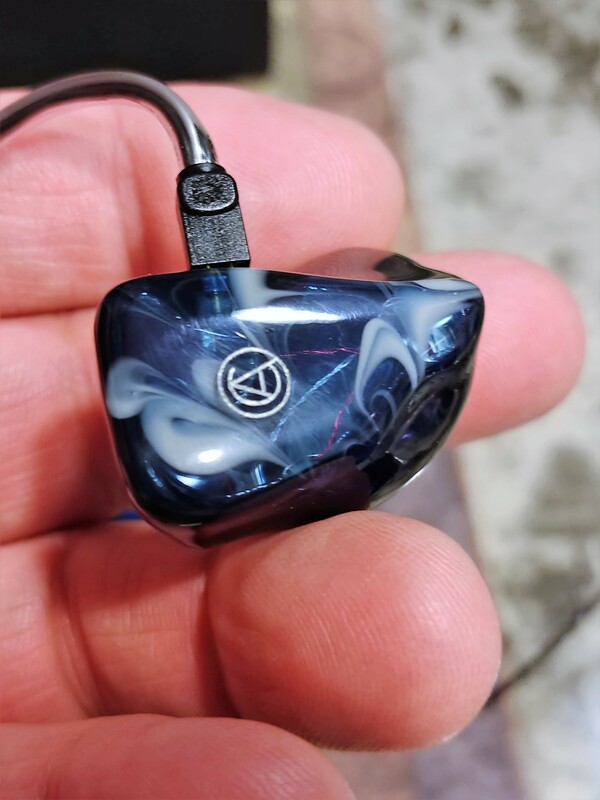 For a reference tuned IEM, the whole low frequencies are presented in a very linear way with almost no added flavor or coloring to them. The balance from sub-bass and all the way up to the upper-bass is well kept, with total control and impressive high speed taking full advantage of the balanced armature features to their best. 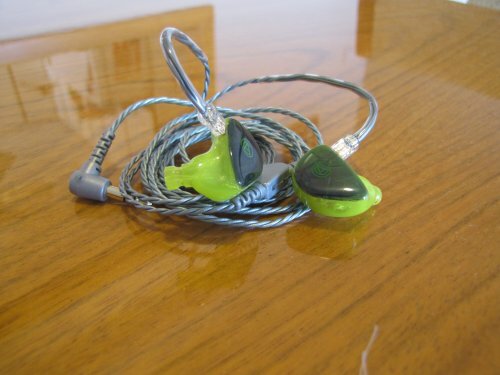 With just a single driver (and not a large one within a 3-BA configuration) the bass quantities are just slightly above of neutral for what a flat reference tuned IEM could be, with a very faint hint of warmth that exchanges fullness on notes for a ‘technically’ strong texture, accuracy and equilibrium between attack and decay. The bass is clean and thus lacks the rumble and sheer power of more musical oriented multi-BA sets, not to mention hybrid sets which add the dynamic counterpart to complete a full and richer balance. It’s not a weakness on the Fibae 3 side as it wasn’t design for that purpose. 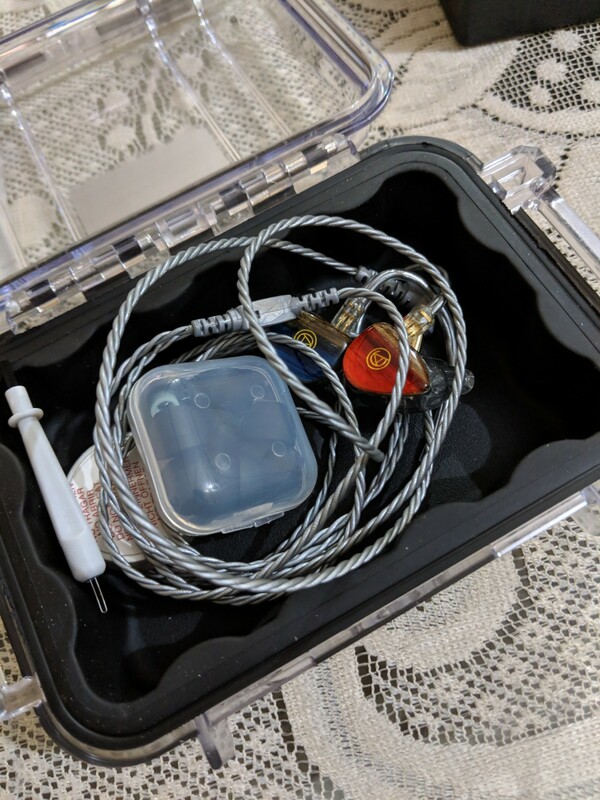 Moreover, the Fibae 3 low-end also deviates from the more clinical/analytical popular models, such as the Etymotic ER4 or DBA-02 pure TWFK setup, that are missing in sub-bass reach and overall fullness next to this CustomArt IEM. The whole midrange is very transparent and articulated with a very high level of detail. It has a brighter tonality easily perceived through the upper mids with a lot of sparkle and energy for upper instruments, with a slight preference for strings and cymbals over wind instruments. However, the lower mids and male vocals do not feel missing or recessed, as the midrange keeps a little bit of forwardness on the whole presentation without breaking the balance for a ‘reference’ monitor. There’s still fullness to the sound with a fairly enjoyable warmth, that while may give up on the overall sense of musicality and sweetness, it pays off with so much micro detail and a very refined linear response. The high frequencies have a very strong lift from lower treble to the upper regions. The Fibae 3 not just classify as having a ‘bright’ tilt; there’s an abundant quantity of treble, and for some can be too much. However, the Fibae 3 doesn’t really carry a very aggressive or too hot treble, that sounds artificial or throws off the overall balance. Technically it is excellent, very resolving and too effortless. 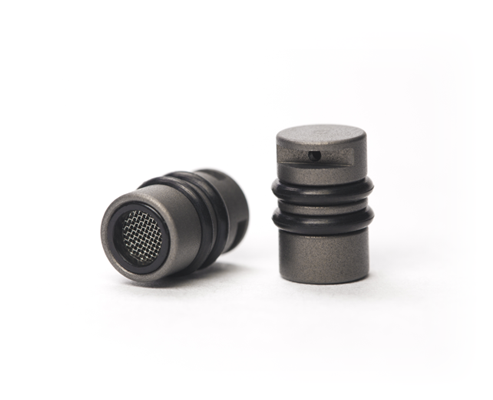 The detail is probably the best feature on the Fibae 3, with ultra fine micro detailing that at first might call the listener’s attention too much. The approach of the single BA tweeter unit acts very different from what heard from the TWFK dual drivers or the ED single (when used for ‘highs’ driver alone), as they present a more forwarded detail and can be overwhelming. The Fibae 3, while still strong in treble, is more leveled and smoother, probably due the less peaky lower treble part (just in comparison to the more treble happy tuned sets). Sibilance can be present, but more because the played track asks for that and less from the IEM itself. DannyBai and Dsnuts like this. Nice review Zelda. I've been keeping my eye on these, thanks. I want to thank Piotr, proprietor of Custom Art for providing me with the FIBAE 3 for review. My first exposure to Piotr and Custom Art was in August of 2017 when we had a discussion about allowing me to demo the FIBAE 2 for review. 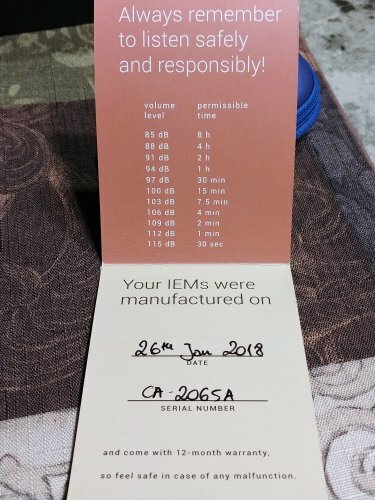 Actually, it was regarding the Harmony 8.2 but when asked which of his offerings he was proud of but that wasn’t receiving the exposure he felt it deserved he directed me to FIBAE 2. I had the pleasure to demo and review the FIBAE2 and I really enjoyed the fun, musical signature and was in awe of the stereo separation and soundstage. Thus, I had to ask what is on the horizon for Custom Art(CA) and at that time Piotr mentioned the FIBAE 3(F3). He wrote a description of the F3’s signature and my initial thought was, after hearing the fun engaging sound of the F2, I am not sure that this was the type of signature I would enjoy. At this moment, I don’t remember the word bright being an adjective used in his description, pardon my senior moment, but the description made me feel that it was going to be a bright signature. I have always enjoyed a warmer signature but I was told that the F3 has copious amounts of clarity with some sweet sub bass thrown into the mix so I was certainly up for that challenge. I will add my take on the marketing hype in that the FIBAE technology is not a gimmick. The overall signature did not change with each source I used. Certainly there were quality differences heard from DAP to DAP but the signature remained relatively untouched. For example, If the DAC used could deliver a more spacious sound it would render differences in spaciousness etc.. but not the sound siganture. 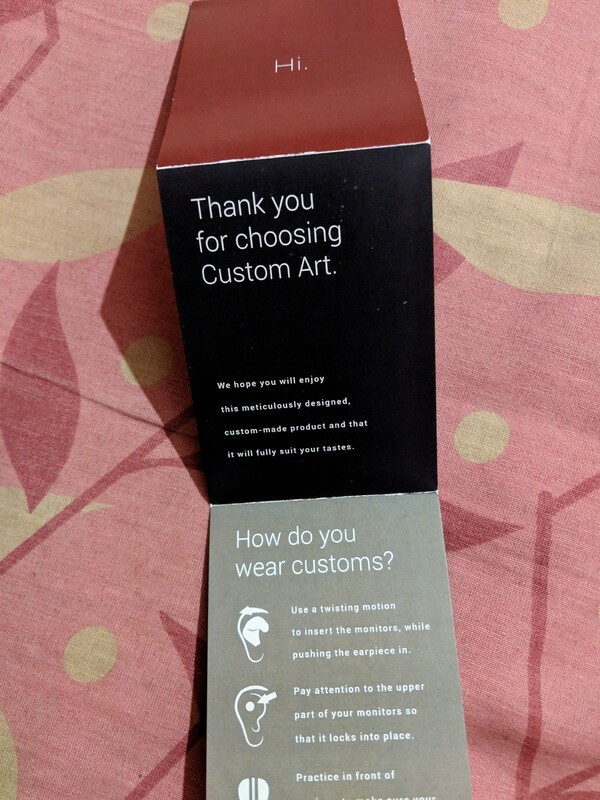 When beginning this section of the review I was thinking that the Custom Art accessories are rather meager, and by many a company standard they may be, but considering I have customs there aren’t included eartips included and the rest of the pack-ins would be fluff. For example, wiping cloths, cloth bags and so on. None of that is included with the CA F3. The Custom Art includes the necessities and on top of that they include a seriously quality product for a fair price. 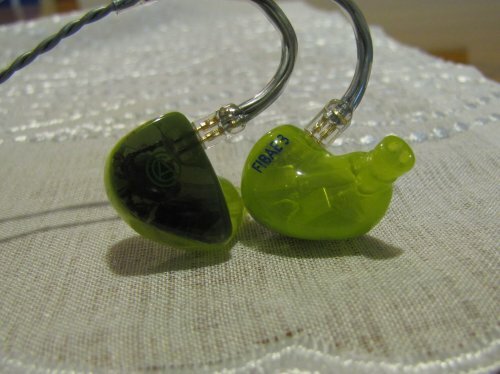 I will take a quality CIEM over the branded fluff any day. I love Pelican cases and am happy that they include a portable zippered case, simple pleasures satisfy me. As far the unboxing everything comes in a rather non-descript black box. I am not sure I can drone on and on about the black box, so I won’t. Sorry nothing more to see here, move along. That said, as the CA brand moves forward it would be a nice gesture to add more pack-ins or marketing collateral to round out the complete package. The cable is the standard fare, black copper Plastic’s One cable with memory wire ear guides. After my experience with aftermarket cables and how well the FIBAE 2 performed with a cable upgrade, I quickly switched the F3 to the Ares II and haven’t turned back since. The F2 that I have are universal and in my review of those I was a little hard on Piotr. I thought the build quality had a bit of a cheaper look and feel, I am not sure why I felt that way and I noted maybe it was the color choices. Also, compared to my Zeus and EM10 it just didn’t appear to be the same level of quality. 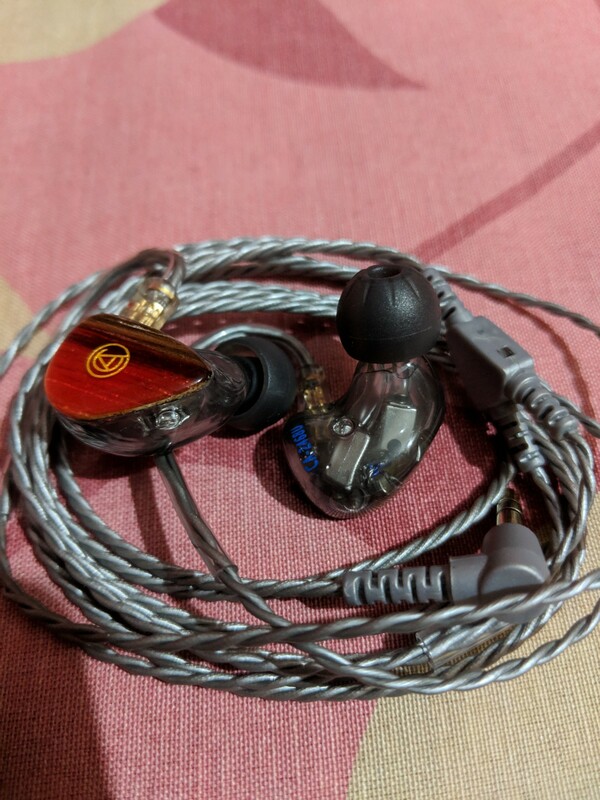 Anyway, I take back my criticism of Custom Art and build quality, the CIEM F3 build quality and design is superb. I left the design up to Piotr, kind of like a chef’s choice, and felt that what he returned was a tasteful, yet cool design. 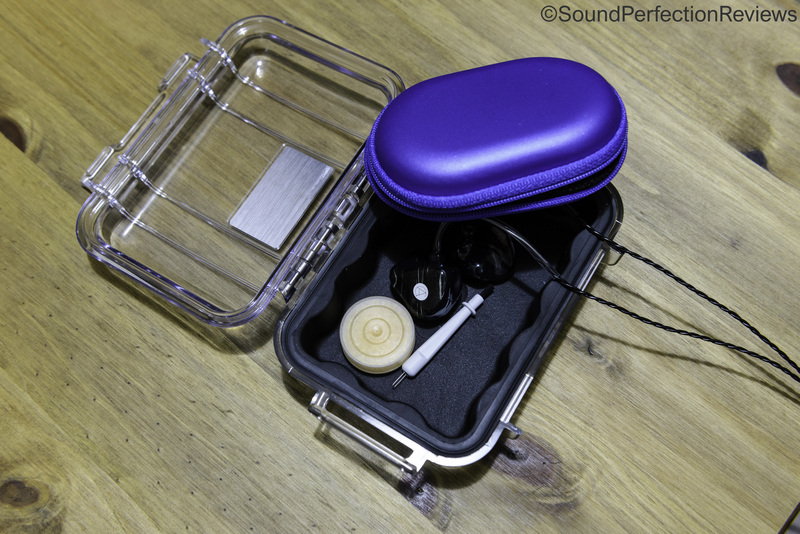 Piotr chose the acrylic shell as he feels the FIBAE performs better with the acrylic as opposed to the silicon shell. The build quality itself was without blemishes, no bubbles or no seams, all in all a great job! The fit was perfect and didn’t require any time for me to grow accustomed to it in my ear. The seal was snug and there is no pain involved with wearing them. They isolate me perfectly from offending world noise on my daily walks, I have no gripes with the build, quality or fit. 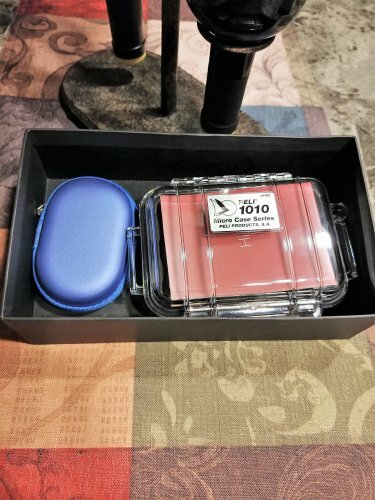 My review was written utilizing multiple sources, Opus #1S and LG V30 and Shanling M3S and Opus #2. 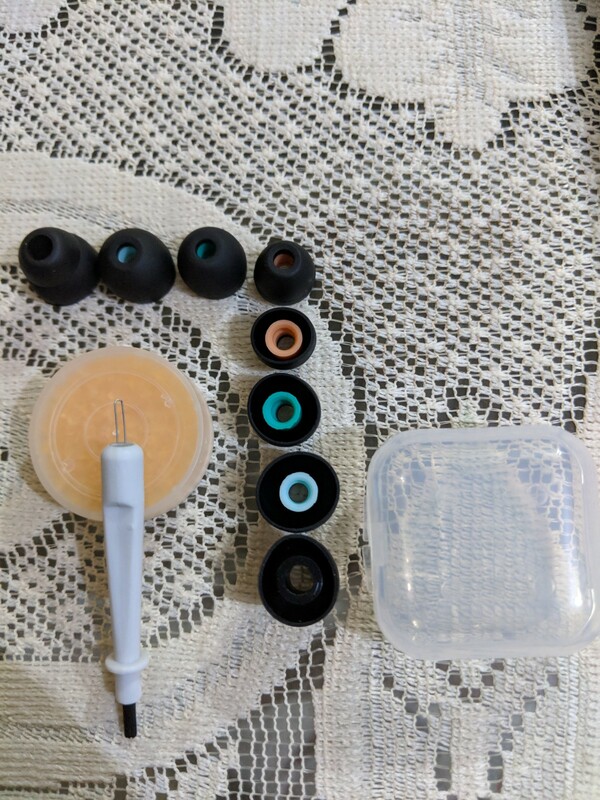 These are custom IEM’s so there is no worry as to which ear tip to choose. 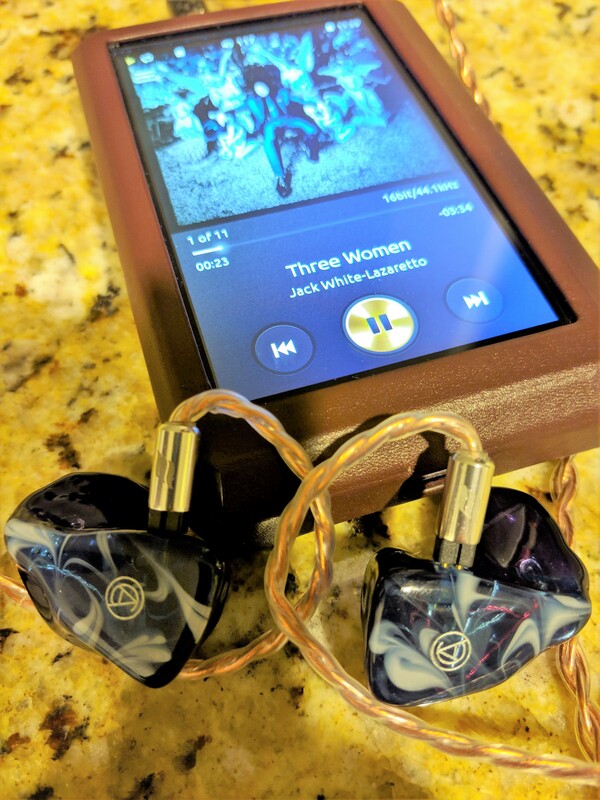 I listened using both a 3.5mm SE and 2.5mm balanced connection. My sample music consisted of 320kb and FLAC as well as streaming Tidal Masters and Spotify. I feel I need to say this right off the bat, the F3 doesn’t do a hell of a lot wrong, it portrays the music as it was meant to be heard. I am attempting to compare it to another IEM I have heard and honestly, I can’t. I put on some jazz and just get lost. The tonal quality and signature just proudly strut their stuff. Crystal clarity and rich fulfilling sub bass. 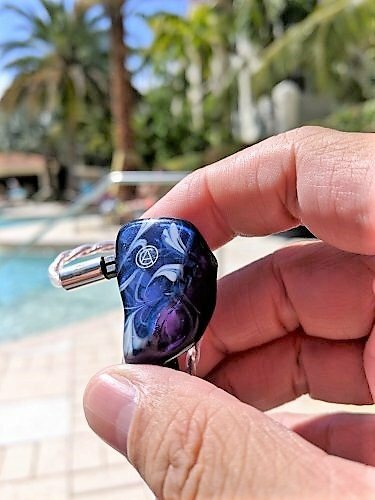 This CIEM was built for it’s clarity and transparency and airiness and in that objective the F3 reign supreme, however play a track with sub bass notes and the sound fills in with a joyous rumble. The sound is more reference tuned than anything else, and the mid and treble range uphold the reference moniker proudly. To particularize the presentation, the F3 has a wonderful reference sound. 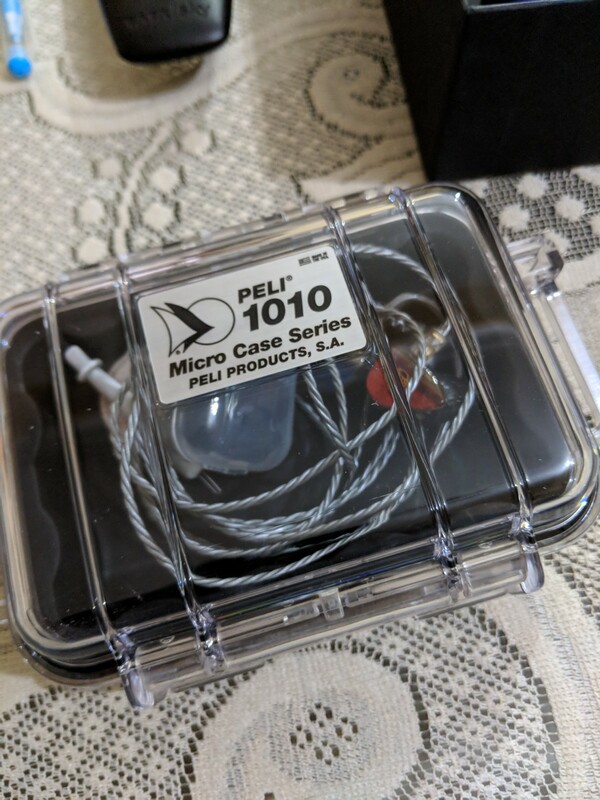 The sound rolls out of the IEM so effortlessly, it does not appear to labor it just opens up and out flows beautiful sound. This IEM is a fine example that clarity doesn’t necessarily mean bright and harsh. The F3 is far from harsh and I have never heard a hint of sibilance. With music such as Al Di Meola’s latest release, Opus, the amount of detail and micro detail captivates the listener. Do not think that the sound is analytical and emotionless with its level of detail because emotion exudes as you hear the fingers hitting the fret board and feeling the slide of the fingers on the strings as the artist changes chords. ENCHANTING! The overall presentation has a vast stage as well as tremendous speed, with a slight decay. I listen to the F3 and the clarity evokes visions of a crystal clear and quiescent bottomless pool, that is still until the sub bass kicks in and it creates ripples in the lucid pool, wonderful, deep bassy ripples. The signature is not warm but it also isn’t hollow or without substance, it is reference and has a fairly true tonality. Going back to when Piotr first gave me his description of the sound of the F3 I would say his description was factual and articulate. My characterization probably has evoked the same initial thoughts in you as I had about the F3. With adjectives such as clarity, detail and crystal it does stir reactions that the F3 is bright, but it is certainly noteworthy that it is NEVER fatiguing, NEVER harsh and NEVER strident. The upper treble range has an expert tuning that maintains control. Vocals seemed placed perfectly with the correct centralization and depth creating an impeccable fusion with the instruments. The sub bass is very pleasing. It is a wonderful rumble, not to the teeth rattling bass head levels, not even close. It has layers and is a very detailed sub bass that does allow for rumble that creates the only hint of warmth I can detect in the IEM. The bass is perfectly placed and is a polite rumble that would never think of interrupting the clarity and details by bleeding into even the lower mid-range or the upper bass range for that matter. The control in the mid bass is appreciated and impressive, as I said everything stays in it’s place. I think the song #41 from Dave Matthews Crash release showcases how well defined the bass is. The drum kicks and the bass lines are smooth and flowing while having distinct edging to each instrument, thus being able to easily discern the bass drum from the electric bass. The detail in the bass is very apparent and defined. The song really showcases how technically proficient the F3 is. The decay drops quick and sharp and notes don’t linger in an unrealistic fashion. The stage is veritably demonstrated in the mid-range of the F3. The vocals are slightly in front of the drummer but you can envision the perfect placement of how the stage would be set if you were in the crowd watching the show. There is a tinge of warmth in the lower midrange that is revealed in a dip in that range and in the range just above the lower mid-range there seems to be a slight bump. This creates a certain fullness while conserving the detail and clarity that is the hallmark of the F3. Very articulate and linear in the overall tone. I have found the mid-range to be incredible with almost all genres of music but with jazz and artists such as Dire Straits the F3 will excel. Again, song #41 from Dave Matthews(FLAC) is a sublime listening experience. Percussion, saxophone and acoustic guitar all shine. The F3 is quite obviously proud of its technical prowess as displayed in the way it struts its stuff across the mid-range spectrum. 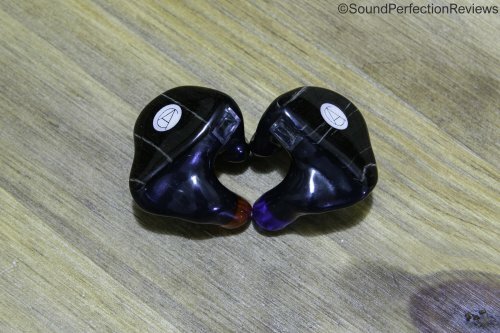 The treble is where this CIEM separates itself from the pack. The hallmark is in the mid and upper treble ranges. It is a high energy listen without the sharpness reminiscent in many high energy IEM’s. Notes float with liberal amounts of air between them and are infused with details and transparency. This is the range that creates that crystalline pool I alluded to earlier in the review. The speed is brisk and the decay short on the cymbal strikes and there is no linger which creates the edge, the energy if you will. The treble extends well and veil or opacity be damned. 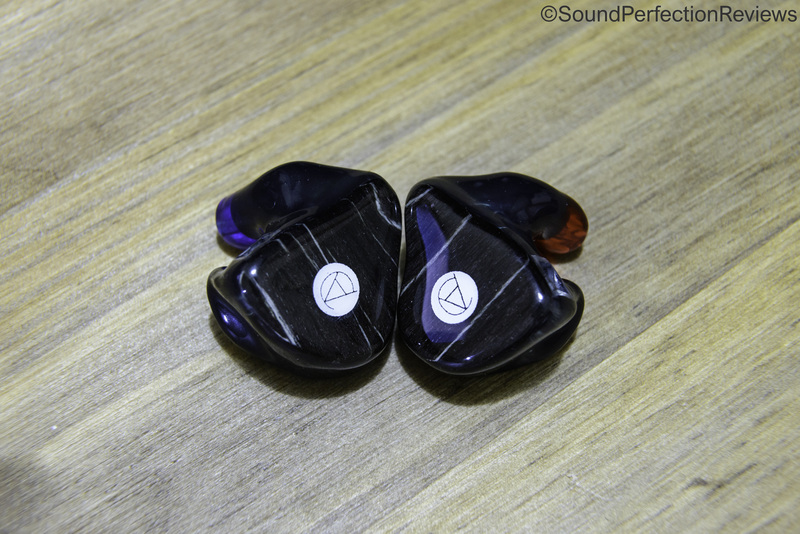 The treble is the balance giver, the range that ties this package together and creates the symbiotic relationship between all of the frequencies particularly that wonderful sub bass. 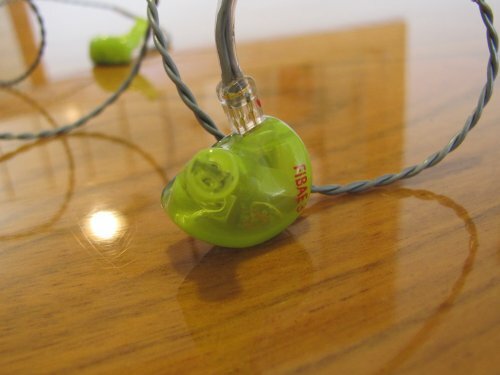 While the treble is majorly detailed the end-user can listen for hours without a hint of fatigue. There is no congestion in the F3, copious amounts of air around notes and crystal clear detailed treble round out the sound portion of the review. The F3 does not need a lot of power to drive it properly. None of my sources had an issue driving them and a couple of times I wasn’t aware of my volume and I had it bumped up fairly high and I felt the pain, a word of caution. Remember with the FIBAE technology there are quality differences heard from DAP to DAP but the signature remains relatively untouched. So regarding the pairing portion of this review there is not going to be much to point out. All of my sources drove them easily and provided excellent quality sound. My two favorite sources to pair with the F3 are the Opus #2 and the LG V30. 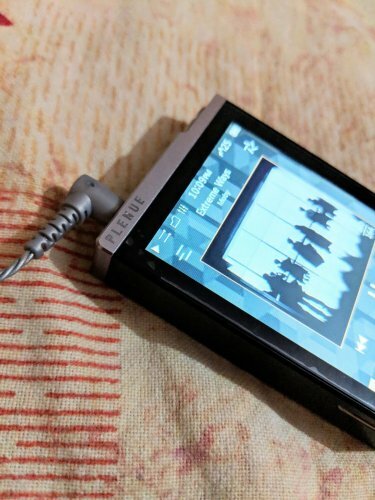 Opus #2 being my reference DAP and the wonderfully excellent quad DAC in the LG V30. I compared different sources, a multi genre, multi format playlist, while testing IEM’s for their characteristics. Soundstage in both units is very wide and I would venture to say it is almost equal with the F3 being a touch wider. The depth of the IE800S is slightly greater but the F3 has more a more holographic stage at times. The bass of the IE800S is slightly deeper and has equal rumble with better textures in the other bass ranges in the IE800S. The F3 has more transparency and clarity in its mids and upper treble while the IE800S has more richness. The IE800S mids are smoother with zero harshness and the F3 has more clarity and transparency and zero offensive harshness. 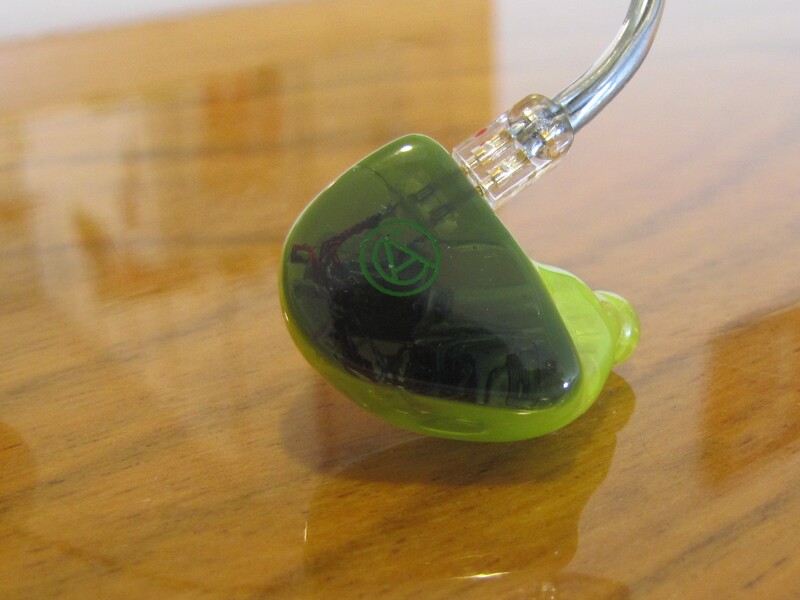 The IE800S has an overall smooth, full signature while the F3 is known for its clarity, transparency and sub bass. 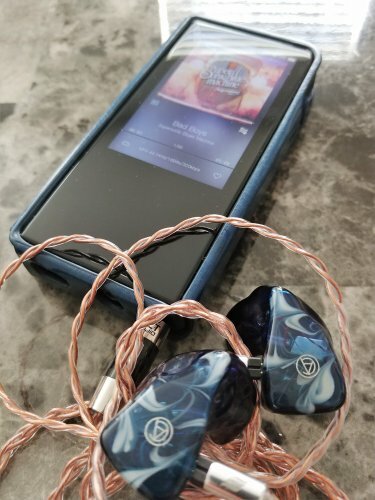 The treble extends well on both IEM’s but what we are talking about is a tale of two very different IEM’s, but the edge in extension and stage goes to the F3. I tested the F3 using the Ares II cable. Soundstage has an equal width with the F3 having more depth. 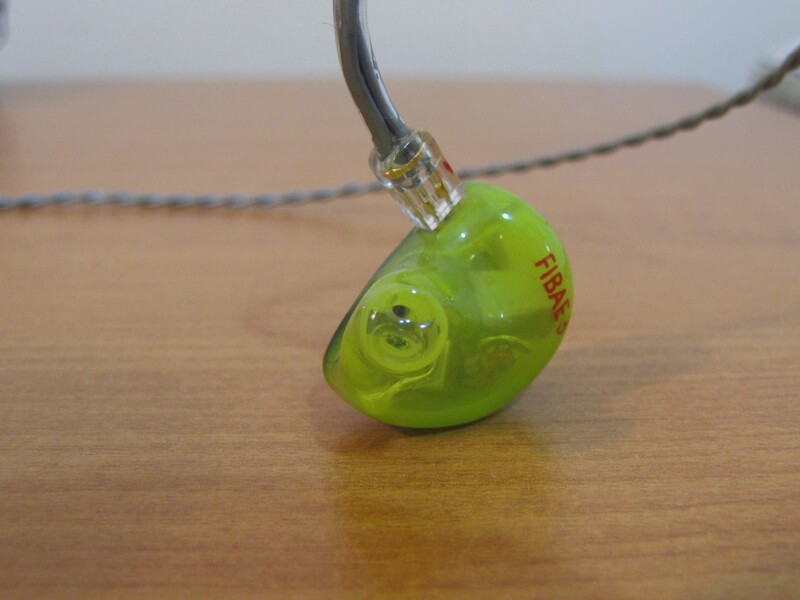 The FIBAE2 has a more fun, musical characteristic while the F3 is more clear and transparent. The bass of the F3 goes a little deeper and has more rumble, but the F2 has an overall warmer tone. F3 bass has more layering and texture but the F2 holds its own. Both IEM’s have totally different mids with the F2 adding a richer lower mid-range, and a more musical tone. Both are detailed in their mids with the F3 being more transparent and clear. The F3 has that treble extension at the upper range of the treble while both extend very well there is that certain treble clarity and stage that the F3 owns which sounds more neutral overall. The F3 has a wider soundstage with the EM10 sounding more confined and narrow. 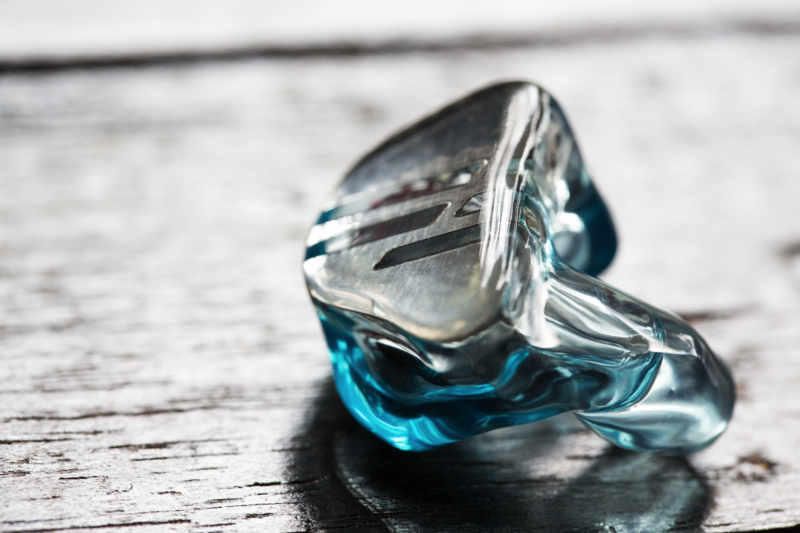 EM10 is more balanced across the board and reveals itself as smooth throughout the spectrum. F3 has more texture in its bass and rumble in the sub bass. The F3 has more clarity and transparency in its mids and is more aggressive. The treble extends further in the F3 and with more much detail and sparkle. 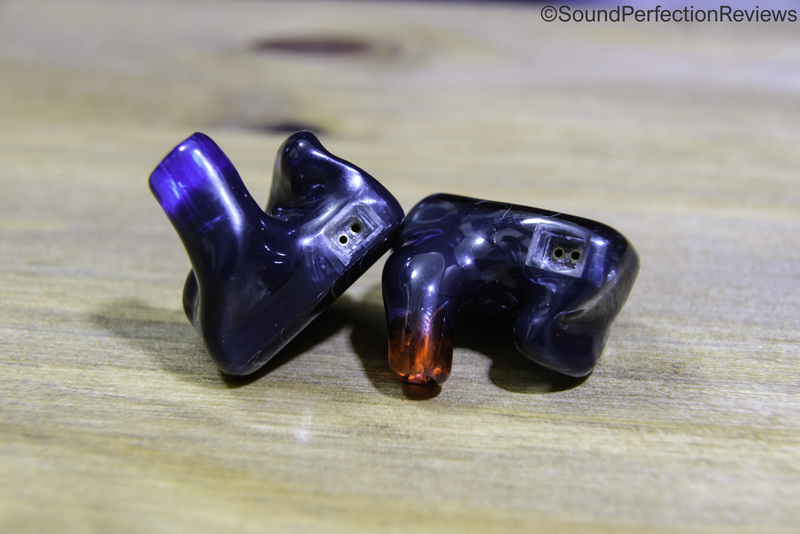 These are definitely two different IEM’s with two different purposes to their tuning. There are times when the mood calls for the EM10. I have heard the two driver FIBAE and now the three driver FIBAE and who knows maybe I will get to hear the Massdrop version with six drivers. Both of the FIBAE options check a lot of boxes, they are different boxes, but they check their own boxes and do it very confidently. If you decide on the F3 you will most certainly receive clarity and transparency in spades and the sub bass which is so well tuned in all of its rumbly, layered glory. The accessories are adequate and for me all I really need or want for that matter. Some of you that appreciate a little fluff will not receive it with the F3. Awesome build, expert tuning and one of the best value companies vs. fluff…you choose. 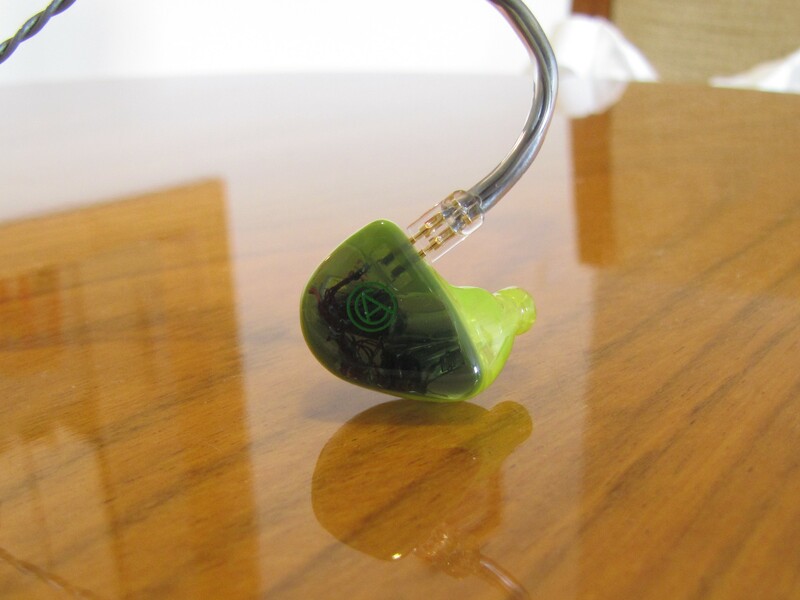 As far as the CIEM itself, Custom Art has delivered a product that exudes sexiness, value and quality tuning. It is reference tuned, for all intents and purposes, and combined with a crystal-clear transparent signature and sub bass rumble I don’t see how the consumer can go wrong. I find it amazing how the treble in all of its clarity never even sticks its toe across the line of harshness. I am more and more amazed with Custom Art as they enhance their lineup of products. The company has some truly outside the box thinking combined with Piotr’s if you dream it, it can be done attitude toward business and you have the recipe for success. The future appears to be quite bright for Custom Art. ram0086, TokyoEvilBird and PinkyPowers like this. DISCLAIMER: Custom Art provided me with the FIBAE 3 in return for my honest opinion. I am not personally affiliated with the company in any way, nor do I receive any monetary rewards for a positive evaluation. The review is as follows. Custom Art is a company on the rise. 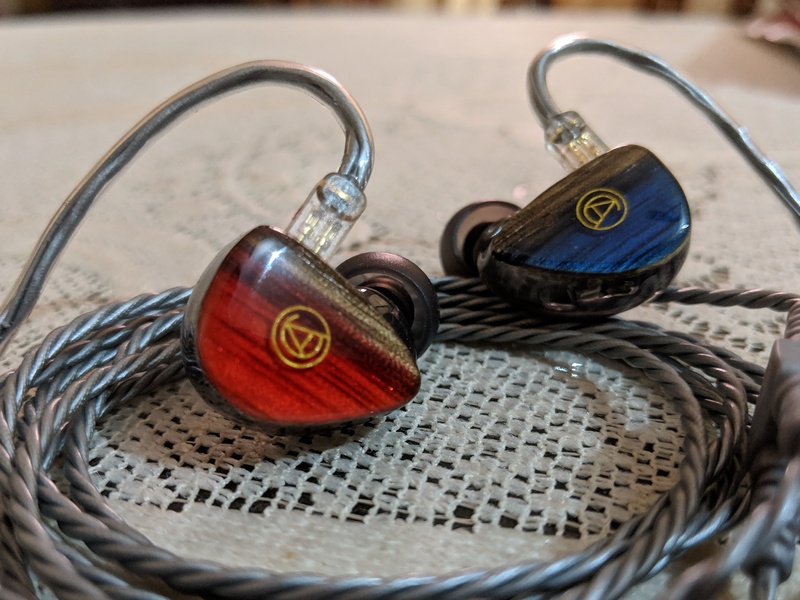 Securing a place in porta-fi history with both their Music and Harmony line-ups, the Polish manufacturer’s recent efforts have been focused on breeding a new range of IEMs packed with unique and innovative technology. Enter: FIBAE. 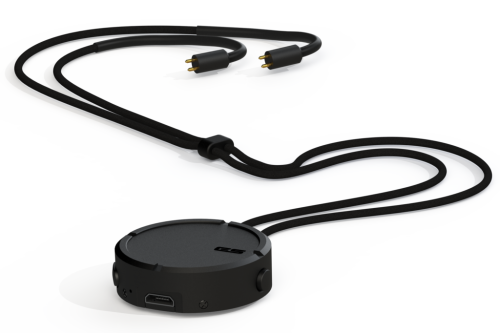 FIBAE stands for Flat Impedance Balanced Armature Earphone, promising monitors that maintain consistent sound signatures regardless of source. Today, we’ll be taking a look at the line-up’s latest: The FIBAE 3. Built from the ground up to adopt a reference philosophy, the FIBAE 3 marks Custom Art’s first foray into brighter pastures. But, it wouldn’t be a Piotr Granicki product without his more musical inclinations; resulting in a signature that balances exceptional clarity with boyish charms – a gorgeous amalgamation of transparency and fun. Custom Art delivered my FIBAE 3’s with a familiar slew of accessories: A soft pouch, cleaning tool, desiccant and their signature brochure; all nestled safely within a Peli 1010 case. I sincerely admire Piotr’s knack for simplicity, but part of me would love to see more from the Polish powerhouse. In a landscape rich with magnetic enclosures, logo-embossed packaging and personalised hard cases, presentation has become more crucial than ever. And, despite how immenselyCustom Art has matured in terms of technology and sound, I’d want nothing more than to see their packaging do the same. The FIBAE 3’s come in a sufficiently functional package, but nowadays, sufficient may not be enough. However, with all that said, competition is sparse when it comes to Custom Art’s fit and finish. 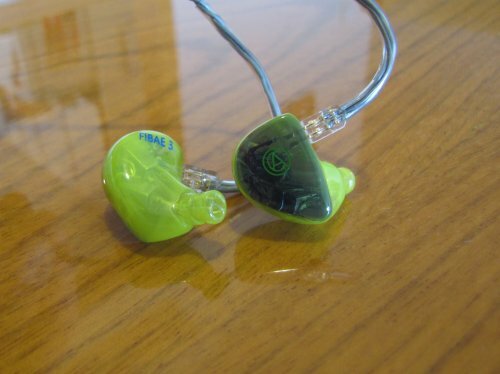 This is my third pair of in-ears from Custom Art and they’re my best-fitting ones yet. Finishing was an extremely painstaking process due to the ambitious design Piotr and I decided to attempt, resulting in a couple, minute rough spots along the faceplate edge. But, the end result is absolutely stunning. 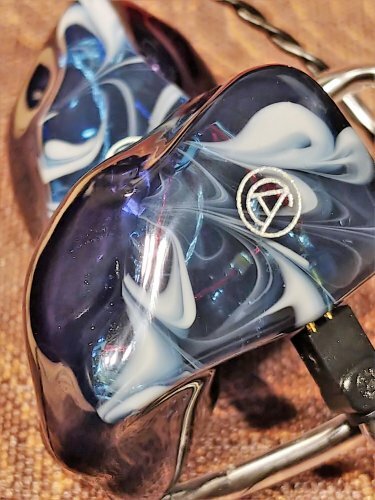 For my FIBAE 3’s, Piotr asked if I wanted my pair to be his first attempt at using mirror foil faceplates – a highly reflective material that’s as difficult to work with as it is magnificent to behold. After agreeing to the idea and a short bout of brainstorming, we finally settled on a minimalistic “F3” cut-out design. 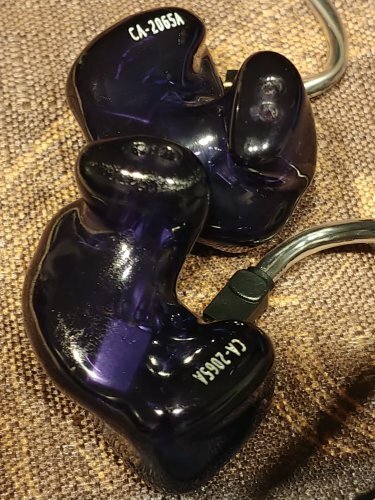 And while it’s gonna take Piotr a bit more practice and a few-thousand-dollars’ worth of high-end equipment to push the material to its fullest potential, I can’t say I’m at all disappointed with how my IEMs turned out. Paired with a light turquoise shell, the monitors embody a simple, clean and futuristic motif. Wholly surrounded by smooth, even surfaces, the shells boast excellent transparency; proudly displaying the IEM’s tactfully-arranged innards. The faceplates screamclass, and the laser-cut designs display excellent precision. All in all, while Custom Art is in urgent need of a packaging revamp, the build quality they consistently put out continues to impress. Tackling bespoke design after bespoke design with inspiring enthusiasm, they are the epitome of unbridled passion, outlandish creativity and exceptional discipline. I gave a thorough outline of Custom Art’s innovative FIBAE technology in my review of the FIBAE 2 – with the inclusion of visual graphs and my own personal experiences with the feature. Click here to take a look. 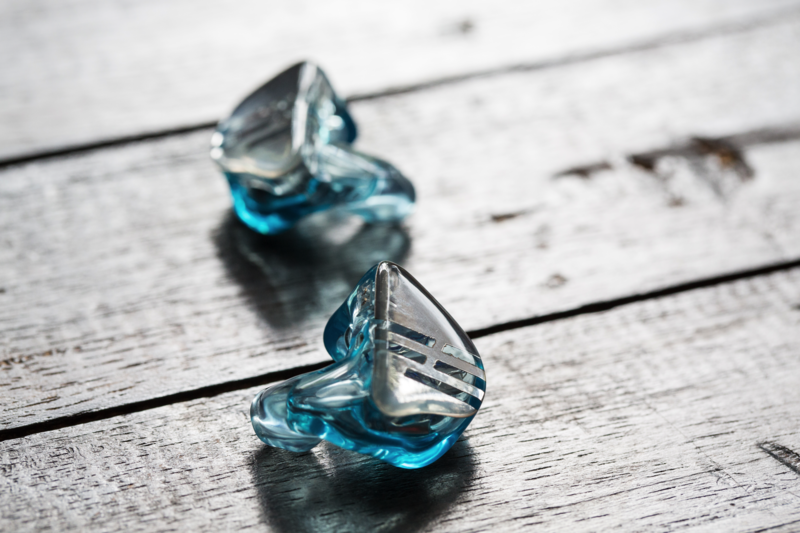 The FIBAE 3 is an IEM purpose-built for transparency, clarity and air. All its elements come infused with a delicacy and an effortlessness that’s almost unsubstantial in nature. 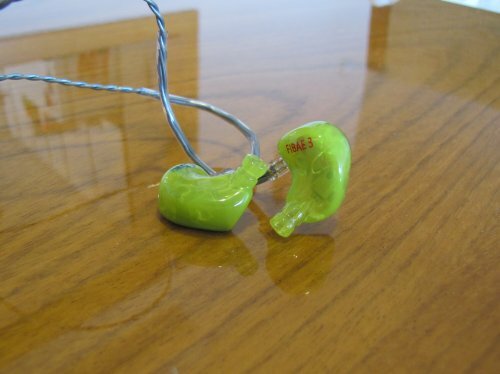 But, it’d be a mistake to call this IEM uninviting or hollow. Because of an exciting sub-bass and a forwardly-placed vocal range, the FIBAE 3 mates remarkable technical performance with a playful felicity; creating an engrossing and engaging soundscape that captivates with detail. Recordings come through with finesse to spare, crafting micro-detail after micro-detail with inspiring ease. Stage expansion and organisation benefit from the FIBAE 3’s immense speed, orchestrating an even-handed, well-separated and expertly-resolved array of instruments; minimally and modestly decayed, yet extravagantly open and abundantly spaced. And, it does all this whilst remaining smooth as a baby’s bottom. Due to an excellently-controlled upper-treble lift, the FIBAE 3 maintains strict composure. Headroom is always plentiful, and sibilance of any kind is non-existent. The only compromise it makes to achieve its performance is tone, as the FIBAE 3 adopts a noticeably brighter timbre. While it’s neither tinny nor plasticky, a word of warning is warranted for those looking for more natural signatures. Warmth is not its forte, but its tone never strays too far from reality either. The FIBAE 3 – with both speed and space – composes an aural mirage where everything is heard and nothing is out of place; attaining crystalline transparency without losing its giddily sense of juvenility. And while its organicity leaves much to be desired, it is ultimately what it was designed to be: A masterclass in doing ultra-clarity right. The FIBAE 3 comes equipped with a tasteful low-end bump – favouring the sub-bass region in particular. 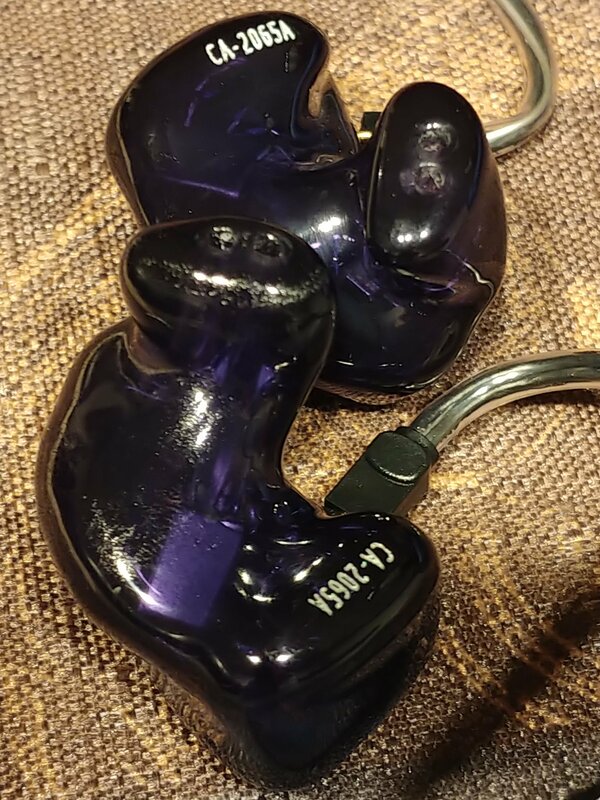 Texture and physicality become second nature to this IEM, as bass notes come through with excellent grit and sufficient warmth. 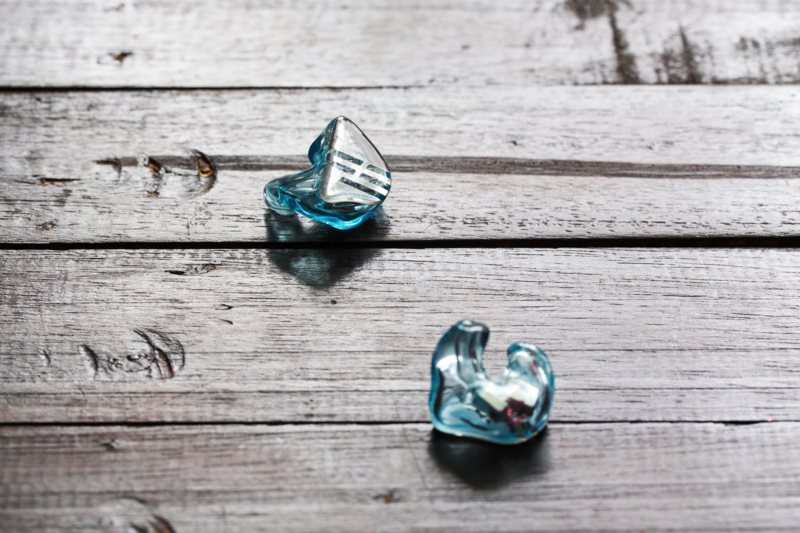 Although the FIBAE 3’s inherent tuning philosophy discourages wetness in its impact, rumble arrives in spades; complementing the IEM’s exceptionally clean stage with episodes of sonorous energy. Excellent bidirectional extension also benefits the bass’s technicalities. Separation, layering and clarity all impress; mating youthful exuberance with life-like definition. The FIBAE 3 segregates kick drums, bass guitars and baritone vocals with great precision, while excellent linearity through the mid-and-upper-bass allow for appropriate decays. The FIBAE 3 exhibits excellent delineation from the bass, upwards – allowing both its low-end and midrange to shine on their own terms. However, fans of a more atmospheric response may find this undesirable. There’s a lack of interplay between the bass and the rest of the spectrum, which will detract listeners looking for a bit of groove. In return, though, the FIBAE 3 displays excellent stage cleanliness – further bolstering the air produced from its lifted upper-treble. Tone also remains consistent – i.e. erring on bright – but never leans anywhere close to brittle or artificial. The FIBAE 3’s bass is a game of compromise. Piotr has made the best out of the FIBAE 3’s more technical environment, but there’s only so much the man can do. In the end, the listener will have to decide whether bloom and warmth will be missed, if what you get is exceptional rumble, immediacy and control in return. As a reference signature would suggest, the FIBAE 3’s vocal range comes equipped with a brighter tone – imbued with gobs of air, energy and transparency. However, this brightness doesn’t stem from a subdued lower-midrange. In fact, the FIBAE 3 presents instruments with a palpable heft, deftly balancing physicality and buoyancy with male and female vocals alike. Singers occupy a vast and far-reaching expanse with neither bloat nor noise in sight. And yet, the FIBAE 3’s vocal presentation avoids the common trapping of an analytical signature: The upper-mid peak. Exceptional linearity throughout the entire midrange allows instruments to exist as a wholly complete structure – from the fundamental, all the way to the last overtone. Although articulation still takes top-billing, and resolution lacks a completely natural tone to be called top-class, the FIBAE 3 fares exceptionally well with a wide variety of genres, regardless. And, much of this versatility comes from its surprising forwardness. Unlike most reference pieces, instruments and vocals take up a significant amount of the FIBAE 3’s stage. But, paired with the IEM’s stunningly black background and immensely open stage, this added presence injects the overall presentation with tons of musicality. Midrange notes certainly aren’t the largest – and they don’t cram the stage as much as they liberally occupy it – but it’s the spaces in-between that vastly improve the FIBAE 3’s dynamic energy. Voices pierce through the IEM’s black background, creating exciting contrasts throughout the stage. And, it does so with smoothness to spare. A richness licks every note, compensating for the brighter tone wherever it can. With all this in hand, the FIBAE 3 exudes confidence in its midrange – astounding in articulation, disciplined in decay and boundless in energy. Brightness be damned, this is a quality vocal presentation that showcases an inspiring balance between transparency and humanity; a truly remarkable feat. The FIBAE 3’s top-end is absolutely its hallmark trait. 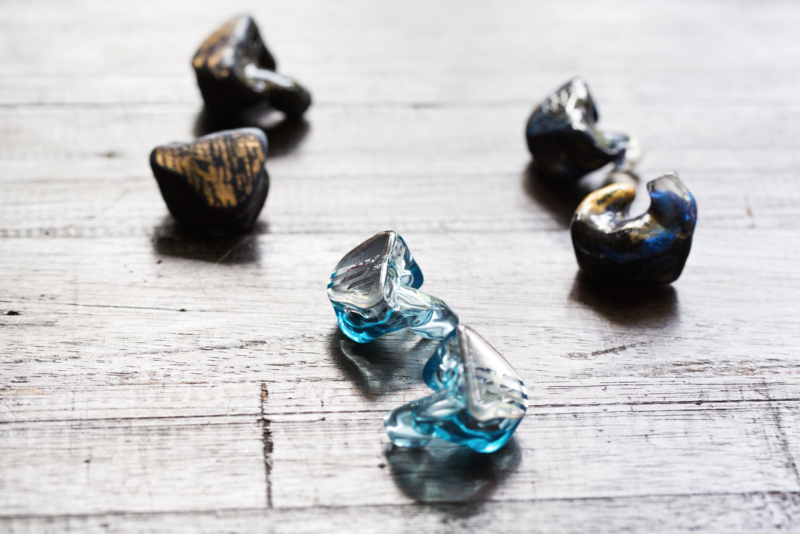 A significant upper-treble lift fuels the IEM’s marvelous technical performance – infusing generous amounts of air, detail and transparency into its wide-open soundscape. Yet, smoothness is never lost in the process. A lower-treble dip prevents any amount of over-articulation, even if instruments – like hi-hats, hand claps, “T” sounds, and (sometimes) snare drums – lack solidity and togetherness as a result. It’s a compromise made for the greater good, but I can see why purists of rock music (for example) would dislike this particular trait. The treble is also where the FIBAE 3 draws its immense speed. Notes decay as fast as they form, imbuing its top-end with a graceful shimmer – a soft, silky fizz; rather than an artificially metallic tizz. But, sticking to theme, this benefits the FIBAE 3’s cleanliness – leaving little to no room for any sort of harmonic to exist beyond the fundamental. And – just like with the FIBAE 2 – Piotr knocks it out of the park with the FIBAE 3’s stage organisation. Constructing an engaging soundscape within the confines of a reference signature is a true tightrope walk. An overtly upfront presentation risks aggression, while attempts at producing headroom may instead be perceived as recessed or uninviting. But – as a result of sheer treble extension – the FIBAE 3 is neither. Despite exceptional air, the FIBAE 3’s soundstage won’t be praised for its size. But, within its well-established parameters, it displays great focus, excellent imaging and admirable left-right separation. While top-end linearity isn’t one of its obvious strengths, mindful tuning has salvaged treble coherence – creating a presentation that’s neither too throaty, nor too hollow; simply open, well-defined and transparent. Again, the FIBAE 3’s treble is a brave gamble. Albeit compromises made in tone and lower-treble presence, the upper-treble rise is a smart move; vastly improving clarity without the harshness that usually comes with. Despite similarly stellar performance in imaging and resolution, the FIBAE siblings produce two very different sonic palates. The FIBAE 2 carries a v-shaped response – emphasising mid-bass as well as the lower-treble – accompanied by a darker timbre and a contrast-y dynamic presentation. 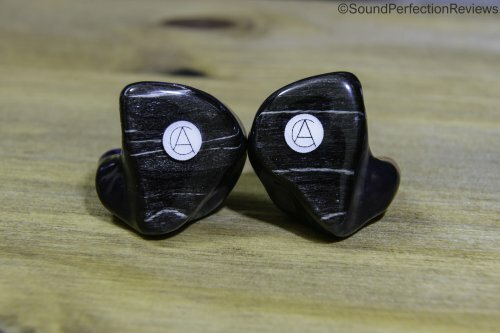 Its older brother, on the other hand, is more w-shaped, mating gorgeous transparency with pure engagement through boosts in the sub-bass, midrange and upper-treble. While the FIBAE 2 takes a more jab-y approach to transients – with more punch than sparkle – the FIBAE 3 is defined by its supreme air – letting notes float freely throughout the stage. Contrasting the FIBAE 3’s more textured bass, the FIBAE 2 endows its low-end with great richness and sumptuous warmth. Notes spread farther with a more atmospheric sense of impact, while the FIBAE 3 chooses to prioritise clarity, layering and precision. Improved bidirectional extension gifts the FIBAE 3 superior technical performance. Though, surprisingly, the FIBAE 2 only just beats out its bigger brother in terms of quantity. The FIBAE 3 is – by no means – thin or feeble down low, even if its immense speed may somewhat suggest so. The FIBAE 2’s warmer and fatter response just sounds heavier in comparison; compromising on clarity and resolution in the process. Sticking to theme, the FIBAE 2 has the weightier, richer and more harmonic midrange. 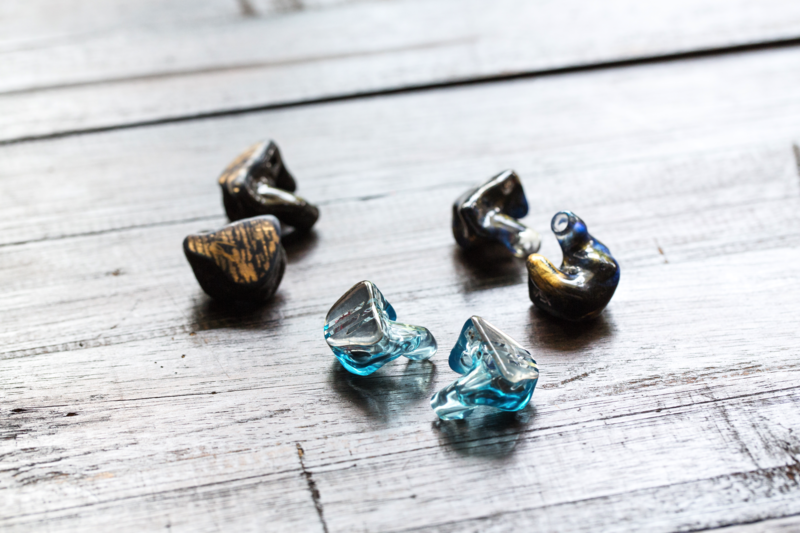 Drawing warmth from the upper-bass and the lower-midrange, the IEM presents instruments with a softer touch, while the FIBAE 3 excels at micro-dynamic presentation; portraying micro-details as stars against a black, night sky. Because of the FIBAE 2’s relatively calmer upper-treble, vocals are also more concentrated and centre-focused, rather than open or airy. As a result, the FIBAE 3 has the more transparent presentation, but the FIBAE 2’s bodied notes pose great competition in resolution. Headroom benefits from the FIBAE 3’s midrange linearity, while the FIBAE 2 is equipped with the more natural tone. Treble is where the two are least alike. The FIBAE 2 emphasises a lower-treble peak for articulation, sometimes introducing brittleness to poorer recordings. 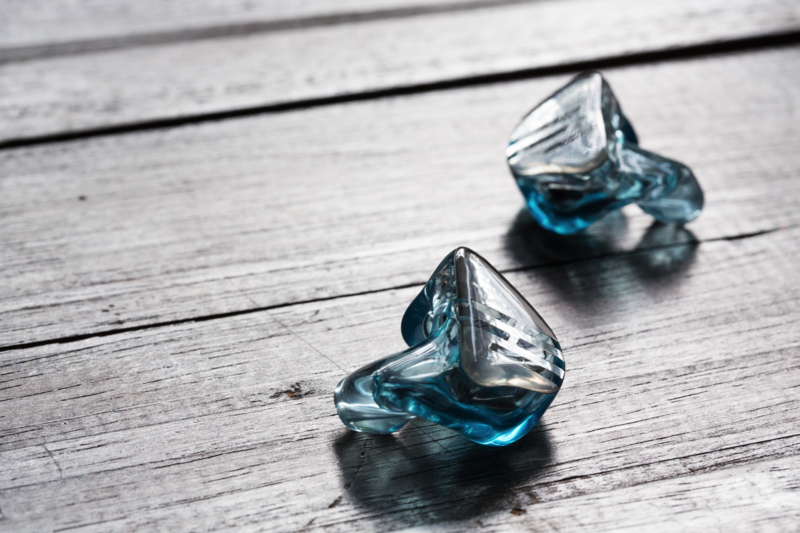 Here, the FIBAE 3 dips for smoothness, but – again – articulation may lack solidity as a result. The latter’s upper-treble lift causes an inherently brighter and more open timbre, while the FIBAE 2’s calmer top-end allows it to maintain both body and organicity. Superior extension solidifies the FIBAE 3’s stage – aiding its transparency – while the FIBAE 2 relishes in overtones to produce a bolder, more euphonic and cohesive soundscape. 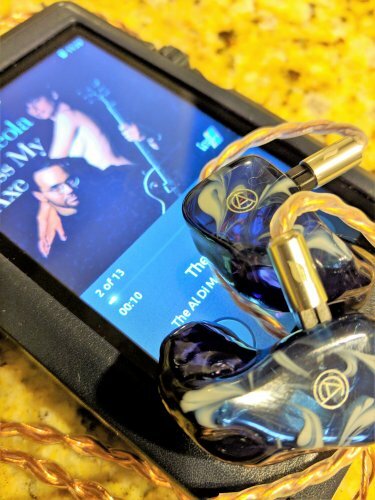 Both IEMs excel at spatial resolution, but the FIBAE 2 has superior central focus, while separation is the FIBAE 3’s forte. The Avalon is a three-driver CIEM from Singaporean manufacturer, Nocturnal Audio. Similarly targeting the mid-tier market with exceptional clarity, the Avalon and the FIBAE 3 tread different paths toward a common goal. The former focuses on contrast and articulation, producing dynamism and energy through lean, clean and crispy notes. Like the FIBAE 2, it adopts a v-shaped response to evoke explosiveness and immediacy, while the FIBAE 3 relies on sheer air to do the same. The latter is also the smoother IEM, while the Avalon is noticeably more aggressive up top and down low; the main contributor to its fun signature. The Avalon’s bass response sits somewhere between the FIBAE 2’s and the FIBAE 3’s, deftly balancing voluminous, bodied impacts with precision in layering and clarity. There’s a nice mix of texture and wetness in the Avalon’s low-end, mostly due to its AEX technology – capable of exhibiting exceptional delineation between the bass and the lower-midrange. The FIBAE 3’s, by comparison, is less punchy, but it compensates with superior clarity, decay and definition. 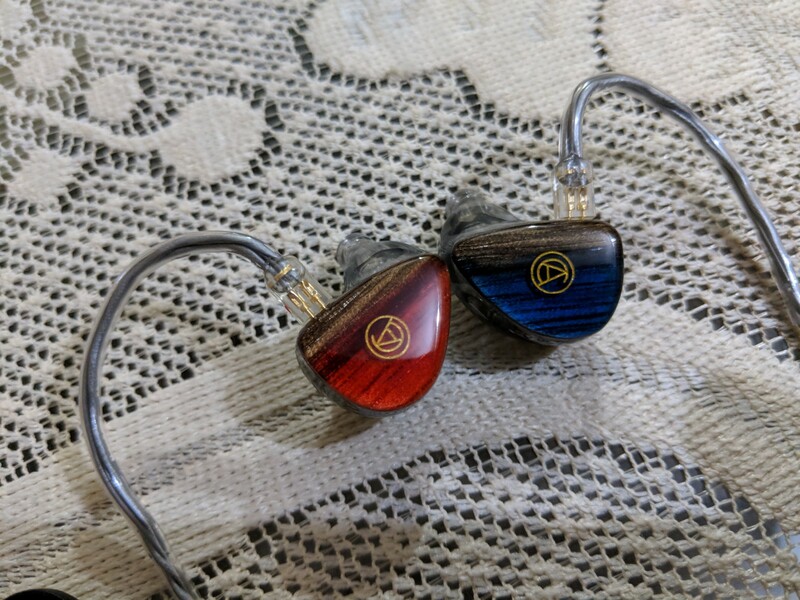 They share similarly neutral tones – though the Avalon is just slightly richer – but the Singaporean IEM wins out on organicity because of the FIBAE 3’s drier nature. The midrange is where the two completely flip sides. The Avalon’s attenuated lower-midrange endows it with a heavily articulative vocal presentation. Instruments sound extremely crisp and crystalline, but they lack harmonic richness as a result. The Avalon’s upper bass does compensate for this to a degree, but it won’t be for those looking for a meatier midrange. The FIBAE 3 sports a better balance between the lower-and-upper midrange, balancing transient attack with exceptional smoothness and grace. Tone is still brighter here – due to the generous upper-treble lift – but the Avalon has the more fatiguing presentation due to its aggression; well-controlled, but aggressive nonetheless. Again, the two diverge in the treble. 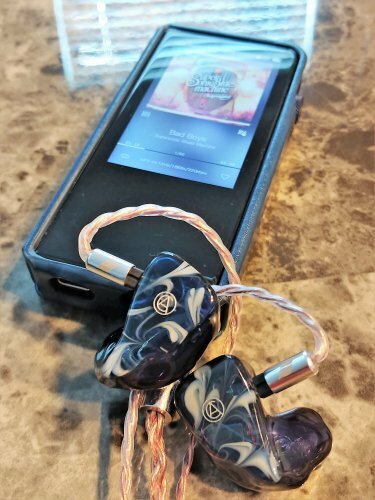 A lower-treble peak further adds to the Avalon’s clarity, rounding out transients in an effort to boost note resolution. The FIBAE 3 does the complete opposite; introducing a lower-treble dip to ensure smoothness within its airy signature. As a result, transients within the FIBAE 3 feel more wispy. Both exhibit excellent separation, but they certainly differ in spatial presentation. The FIBAE 3 separates along the x-axis, while the Avalon is more depth-reliant. The Avalon showcases excellent extension as well – supporting its stable stage – but lacks the FIBAE 3’s upper-treble emphasis. This solidifies its neutral timbre, with the FIBAE 3 sounding brighter and airier in comparison. The Custom Art FIBAE 3 is a paragon of clarity. Boasting brilliant end-to-end extension and marvellous transparency, Piotr and his team have once again proven their reign over the mid-tier market. While their previous efforts have all approached warmer ends of the spectrum, the FIBAE 3 is as much a welcome change as it is a substantial risk – attempting the balancing act between clarity, smoothness, engagement and ease. 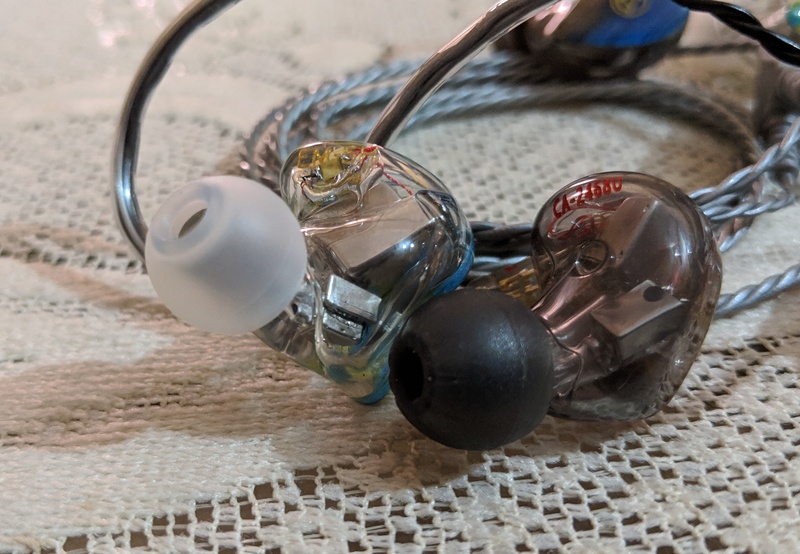 But, despite some compromises along the way, the FIBAE 3 successfully delivers one of the most promising, value-oriented reference IEMs the market has ever seen. 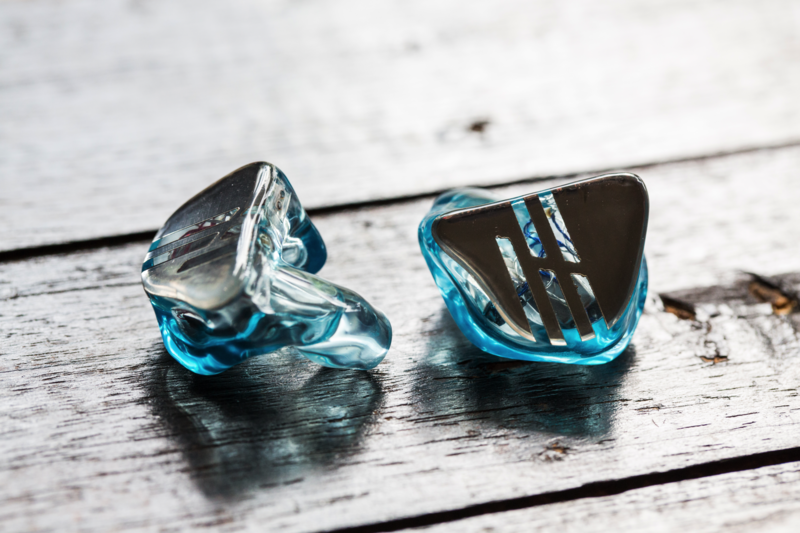 Evoking speed, cleanliness and finesse at every turn – yet never forgetting how important fun is in an IEM’s sonic palate – it just goes to show how far Custom Art have come from their humbler beginnings. And now, with the FIBAE line batting a thousand, I cannot wait to see what else they have up their sleeves. B9Scrambler and Wyville like this. Accessory wise you get the Peli 1010 case to store them in, this comes with a small plastic pot of silica desiccant to prevent moisture damage, along with the case you get a small blue clamshell case if you want to put them in something smaller, along with a wax cleaner tool for keeping the nozzles clean. Overall I don't think any other accessories are needed and the essentials are all included. Robert Smiths vocals come out of the blackest background during Plainsong by The Cure, you can hear the pain in his voice as he delivers the haunting lyrics, this track sounds so full and complete through these. Some may find the vocals to sound a little dry on these, but I find them to sound quite true to the source, and very track dependent. The midrange can deliver great power too during faster rock tracks. Conclusion: The F3 has a very unique and enjoyable sound signature, the sub-bass presence without bloating of the mid-bass and midrange is impressive, the air and extension up top without excess energy or fatigue, the alluring and intimate midrange that is crystal clear and beautifully separated all come together to form a coherent yet spacious sound that is immensely fun to listen to. Custom Art have really knocked it out of the park with the F3, offering up a well balanced monitor that is not bland, boring or thin. They lend their hand to all genres, and I found myself everything, from EDM to metalcore, pop to jazz. dantztiludrop, TokyoEvilBird, Wyville and 2 others like this.